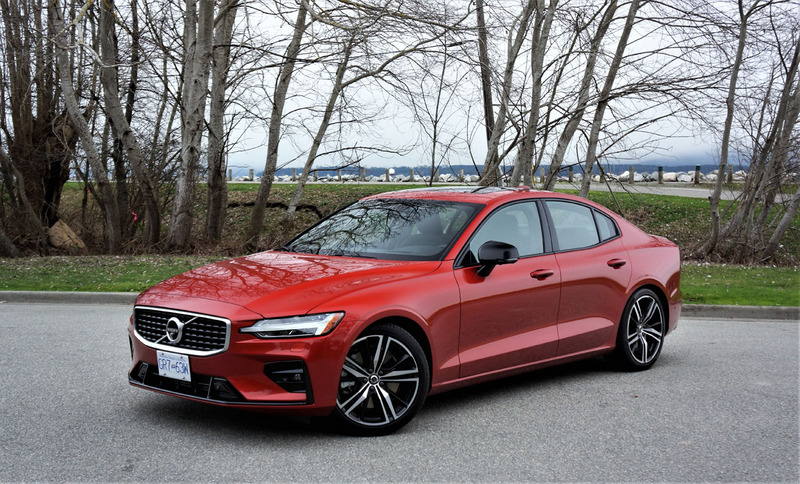 In our garage this week is the all-new 2019 Volvo S60 in its sportiest R-Design trim. 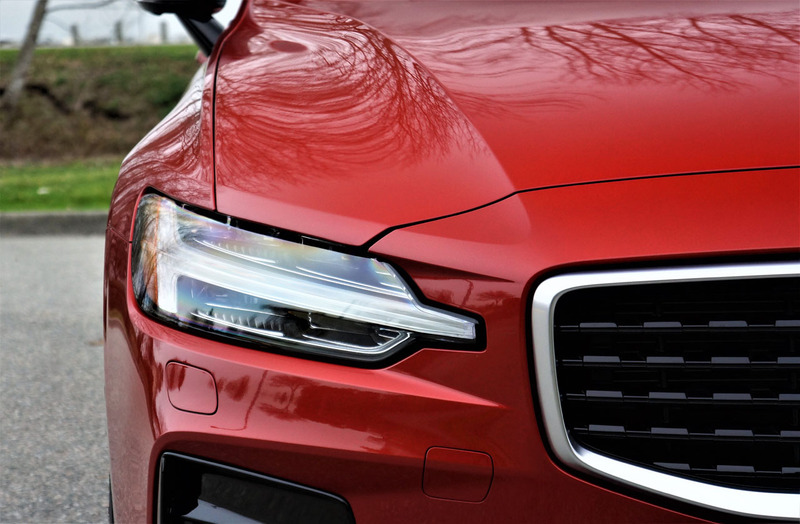 It’s a critically important redesign arriving at a time when the majority of buyers are more interested in crossover SUVs, so should Volvo be worried? 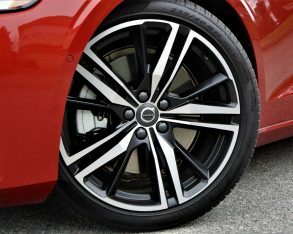 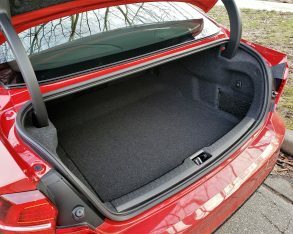 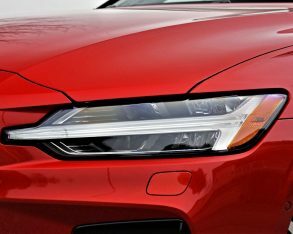 Time will tell if the Swedish brand manages to take back market share lost while waiting half a decade longer than usual for a redesign, but once again offering this four-door sedan along with sport wagon and more rugged crossover SUV-style tall-wagon variants will certainly help attract more buyers. 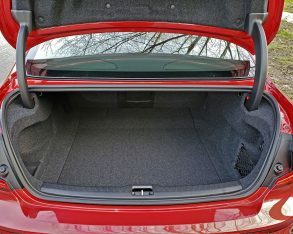 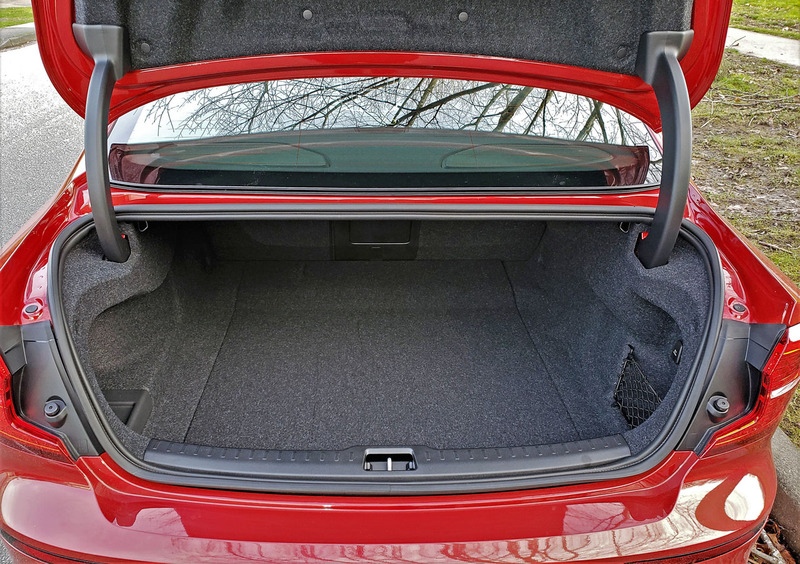 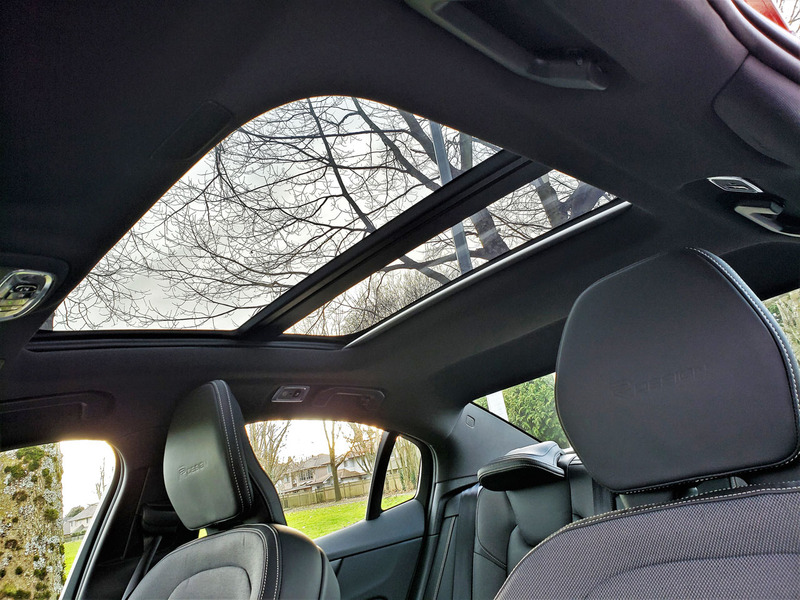 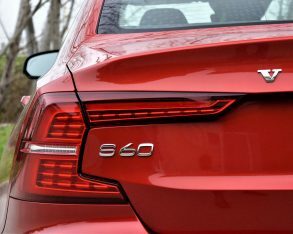 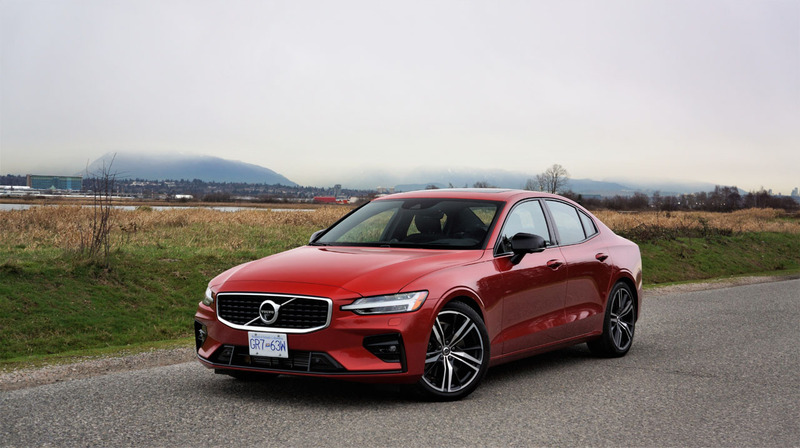 Hot off the heels of three wonderful holiday weeks with the just noted 2019 V60 sport wagon, we eagerly dive right into this new-from-the-ground-up S60. 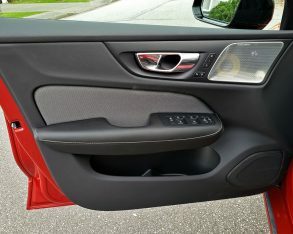 Of course, you won’t find many of our opinions in this garage review, leaving such experiential talk for an upcoming road test review, but there’s certainly opportunity to share some background info as well as a bucketful of meaty info morsels that would-be buyers and otherwise interested parties should find useful. 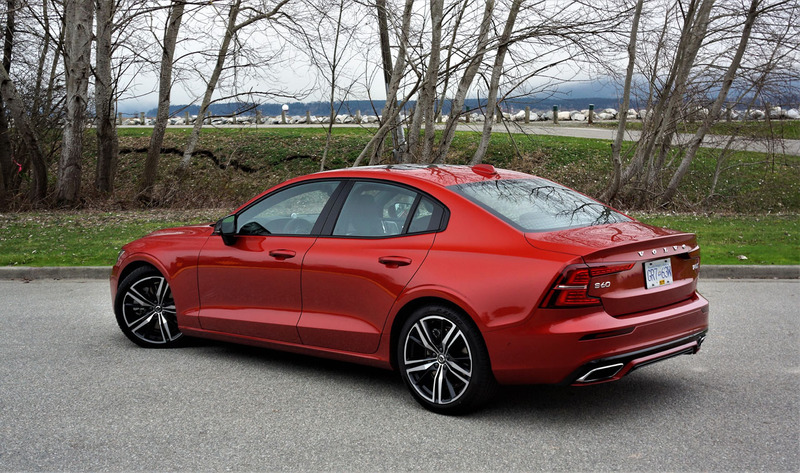 The first S60 arrived at the turn of the century for the 2001 model year, a great looking update to the more conservatively penned 1997–2000 S70 that took over from the even boxier 1992–1997 850, which followed the much more sharply cut 1985–1991 740/760/780, the now classic 1974–1985 200 Series, the more shapely 1968–1975 164 Series and 1966–1974 140 Series, the beautiful 1956–1970 120 and 130 Series, and finally the one the started them all, the truly classic 1943–1958 PV444/544 (excuse us if some of the dates aren’t 100-percent accurate). 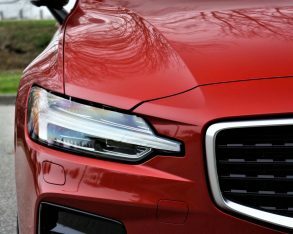 Ok, that was a lot more history than was needed, but it goes to show how far the tentacles of this model reach back into yesteryear, and how much historical significance Volvo brings to the automotive industry. 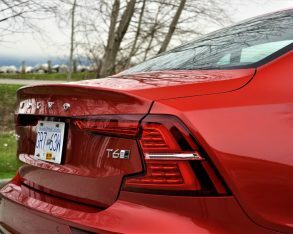 Even more importantly, the new S60 is the final piece in Volvo’s rebranding puzzle for North American markets, unless they decide to bring us a revived V40 to go along with the similarly sized XC40 crossover SUV that was introduced last summer, or further expand their lineup with a reincarnated C30, S40, C70, S80, or who knows what? 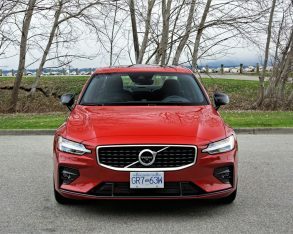 Volvo already offers Canada’s luxury market an impressively large lineup of models and therefore doesn’t likely need to water down its efforts by filling more niches, but we’re happy to see it continue with mainstay products like the S60 despite some market weakness amongst four-door sedans in recent years. 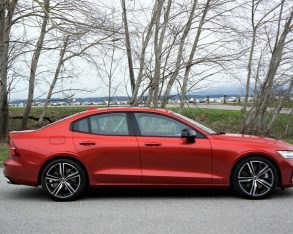 As it is, this new third-generation S60 should cause today’s smaller group of premium car lovers to sit up and take notice, thanks to design details that have proven favourable to the majority of the Scandinavian automaker’s loyal owners as well as most auto industry critics when seen on other Volvo models. 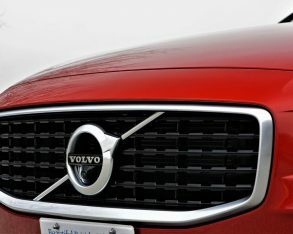 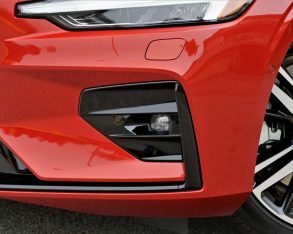 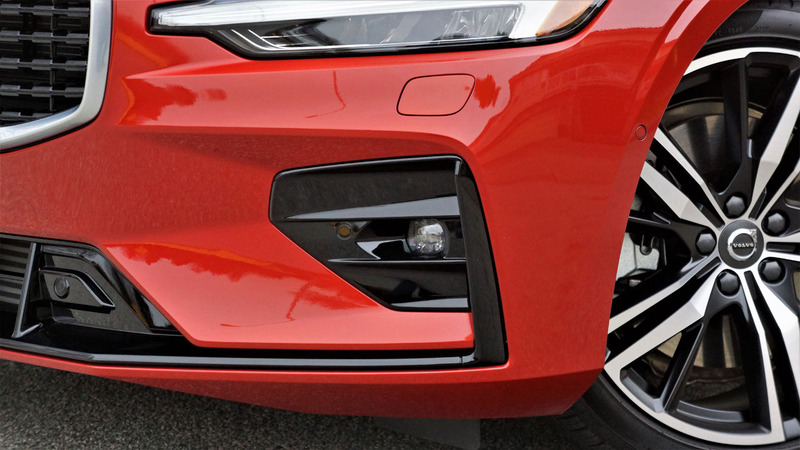 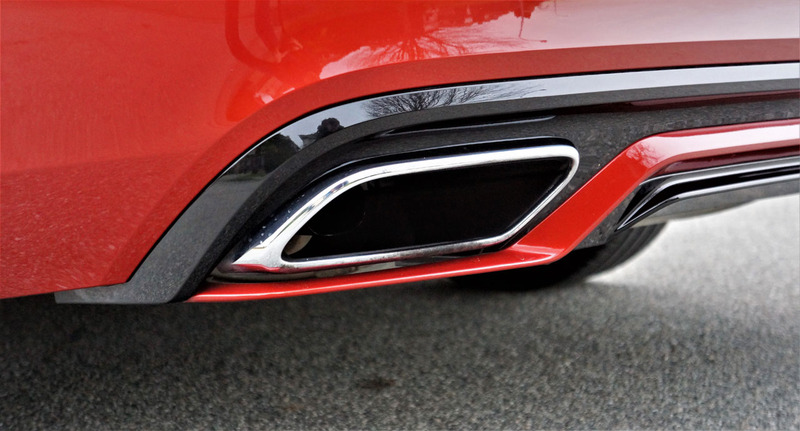 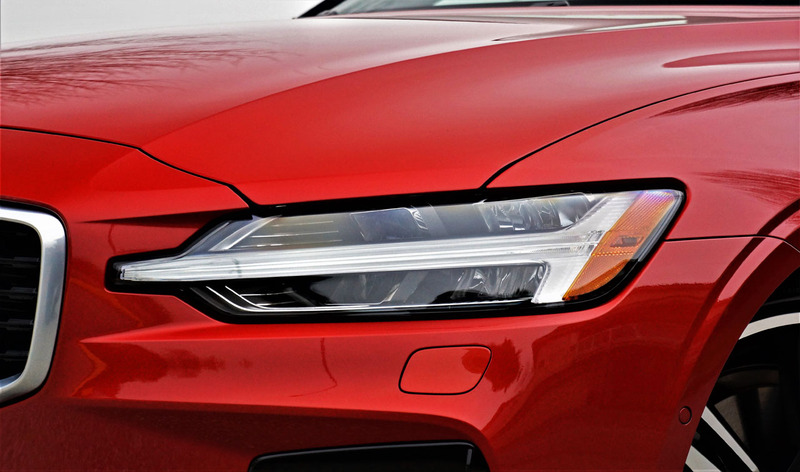 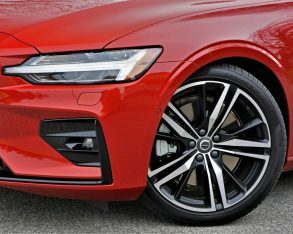 While once again uttering “Thor’s Hammer” LED headlights might nauseate regular readers as much as the words delighted when Volvo first coined them for the then-new XC90 in 2014, they’re an integral part of the new S60’s frontal design, just like the mostly rectangular crested grille in between. 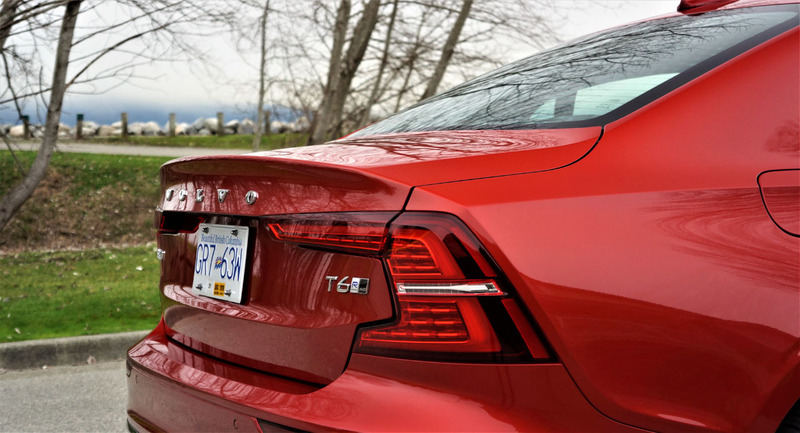 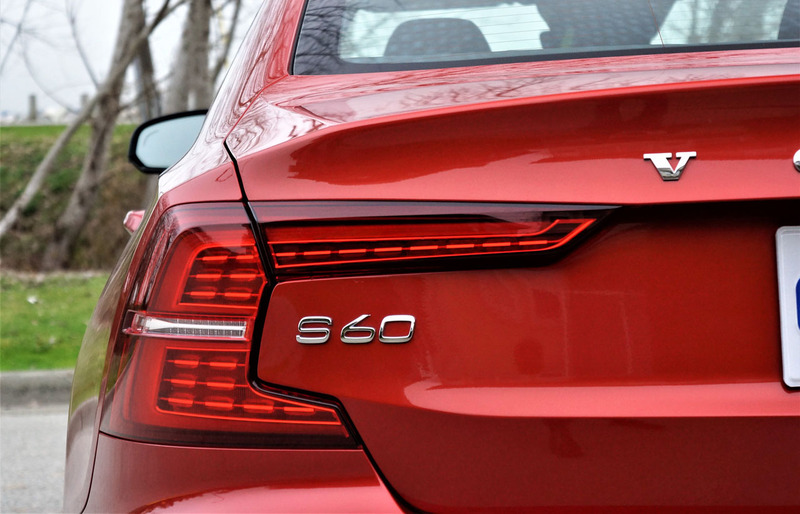 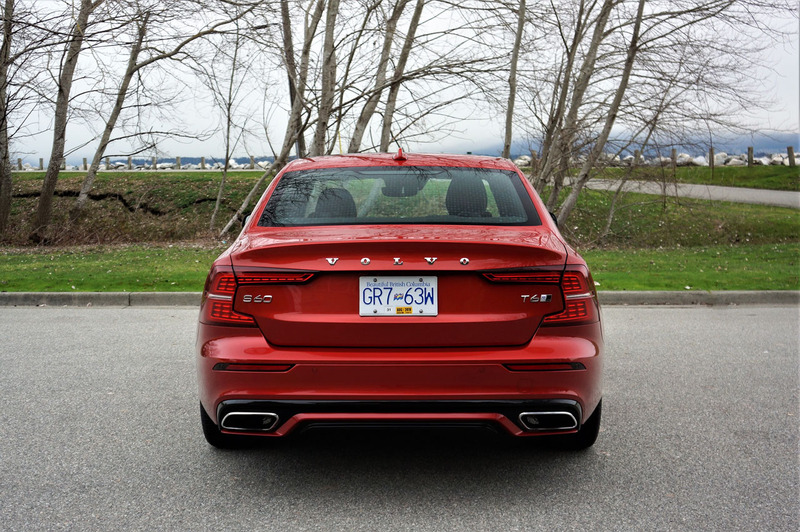 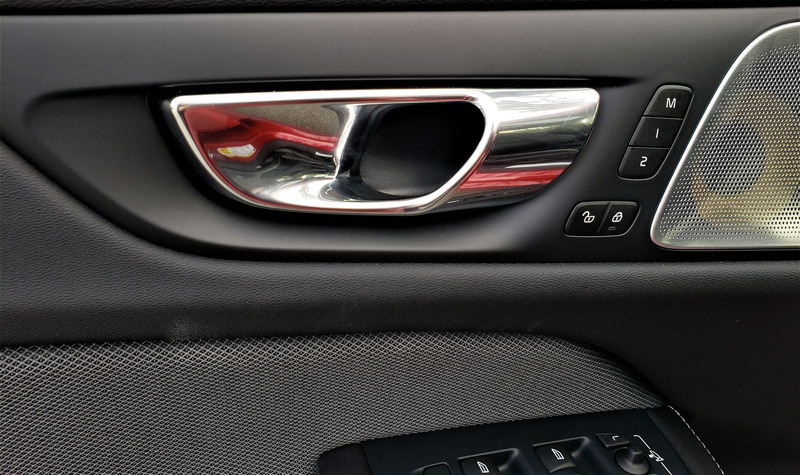 Likewise, the C- or hook-shaped LED taillights provide an original look from its backside, the new S60 getting a similar set of rear lenses to those found on the larger S90 sedan. 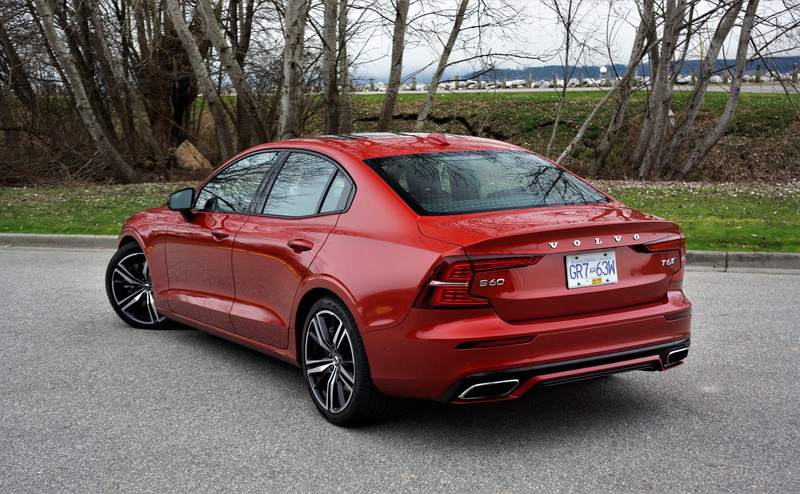 Speaking of larger, the compact (or mid-size, depending on market) D-segment S60 has (surprise, surprise) grown from the outgoing 2010–2018 iteration to this new 2019 model, its length now 133 mm (5.2 inches) longer at 4,761 mm (187.4 in) with a 96-mm (3.8-in) longer wheelbase of 2,872 mm (113.1 in), but unusually it’s now 15 mm (0.6 in) narrower at 1,850 mm (72.8 in), and sports a 53-mm (2.1-in) lower roofline than its predecessor. 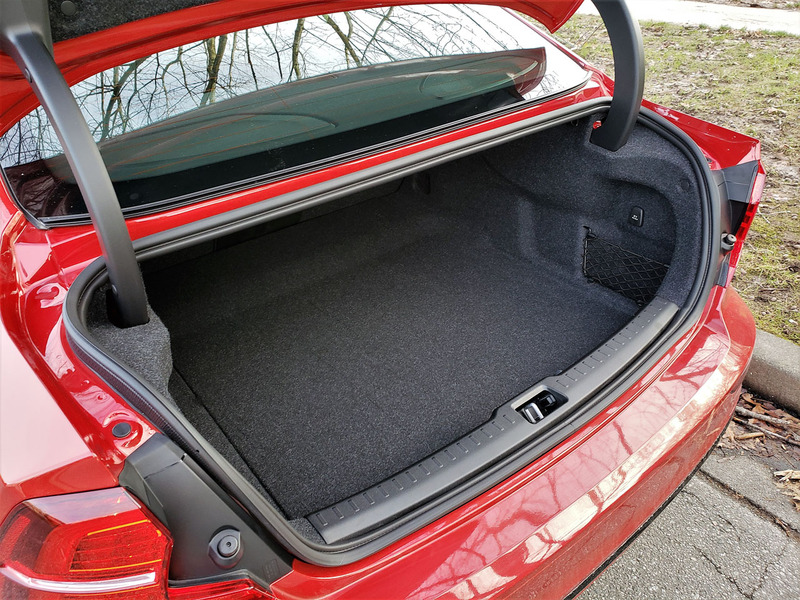 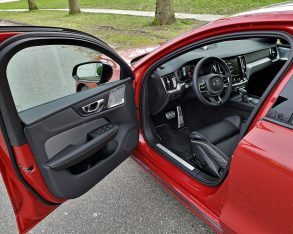 Of course, the longer wheelbase aids rear legroom, which some criticized as a shortcoming on the previous car, although the real reason for an elongated S60 probably comes down to the Chinese market and their love of limousine-like rear quarters. 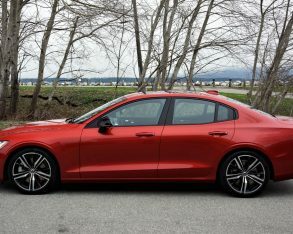 The outgoing S60 was already available in China as the long-wheelbase S60L (with a 79-mm/3.1-inch wheelbase stretch and 76 mm/3.0 inches more rear legroom) in order to cater to regional tastes (the Chinese-made model was also offered in the U.S. with Inscription trim). 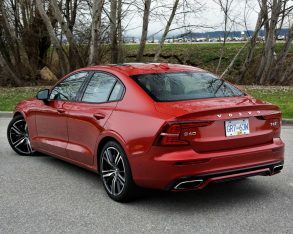 Competitive luxury brands provide long-wheelbase variants of their D-segment offerings in China too, but only Volvo has Chinese parentage (Geely) and will therefore probably sell more S60s in its second home market than in North America, or possibly even Europe, so they might as well make one elongated S60 to serve all. 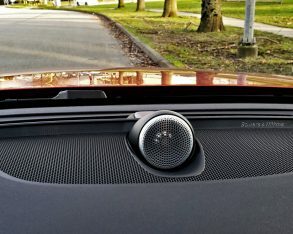 Speaking as one who resides in Richmond, BC, made up of 53-percent Chinese-descent Canadians that continue to enjoy most of the same personal and collective tastes originated in the Sinosphere, what works in Beijing, Shanghai, Guangzhou, Shenzhen and the rest of China’s largest and wealthiest cities, not to mention those hailing from the “Special Administrative Region” of Hong Kong, will likely work here, or for that matter in Richmond Hill, Ontario, Richmond, Virginia, Richmond upon Thames, London, UK, etcetera (Richmond is the most common place name in the world, or so claims British author and toponymist Barclay Simpson who lives in the original Yorkshire, England town). 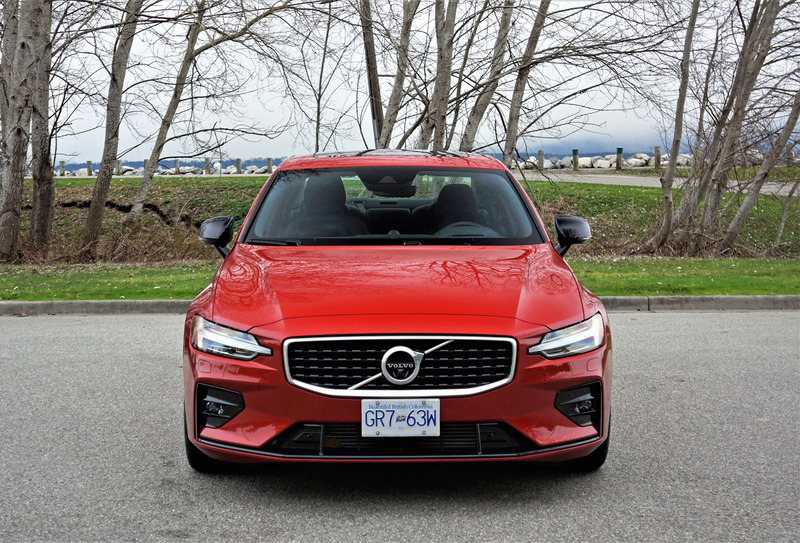 The S60 is far from common, however, and I’m not just commenting on how few you’ll find on the road compared to segment leaders like the BMW 3 Series, Mercedes-Benz C-Class and Audi A4. Despite the second-generation S60’s length of tenure it’s still fared pretty well, but this new model should excite longtime fans of the model and may even cause some bored with things Swabian to contemplate a Swedish way of life. 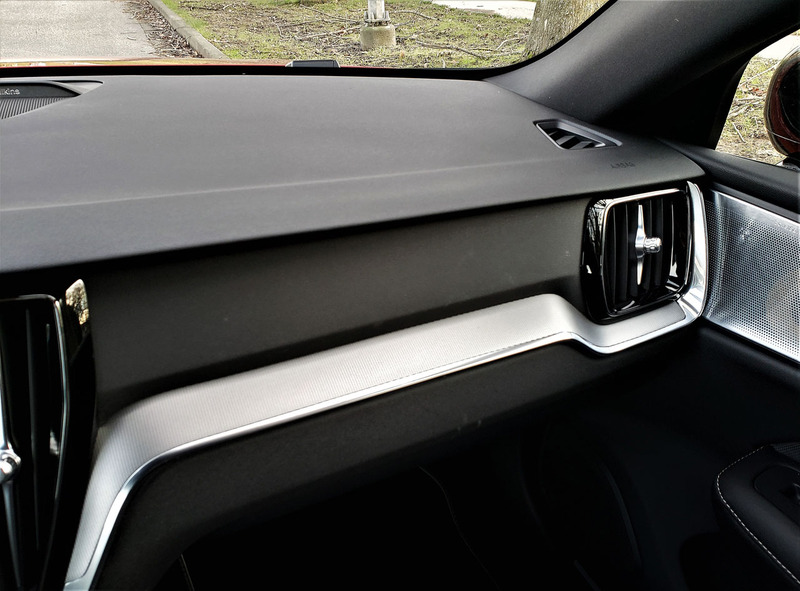 And by that we don’t mean simplistic minimalism, as has often been Scandinavian design dogma, but rather lavish luxury, this especially true in aforementioned over-the-top Inscription trim. 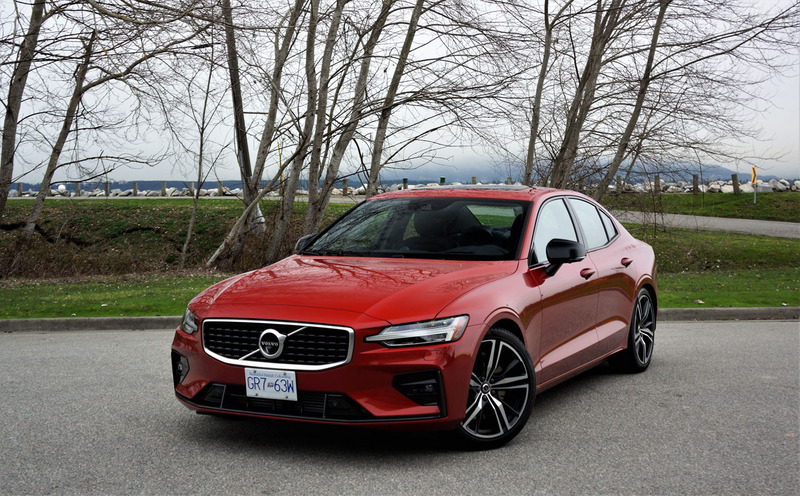 Unlike the V60 we spent time in over the holidays, the new 2019 S60 is available in more trims due to an expectedly higher take-rate. 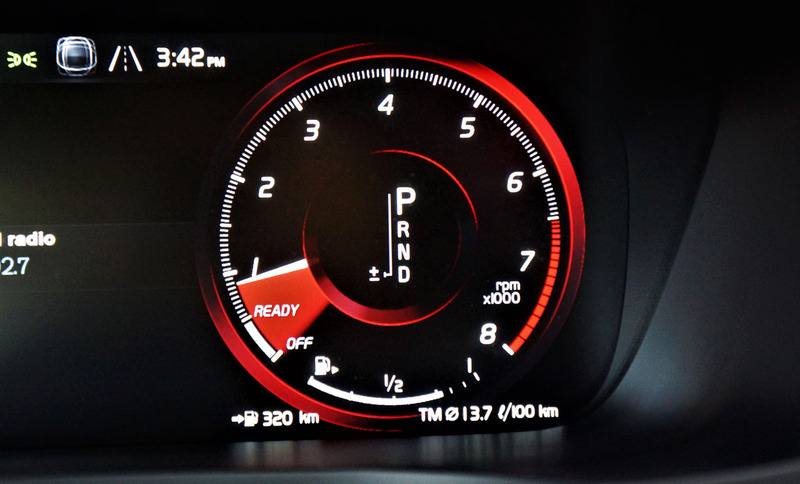 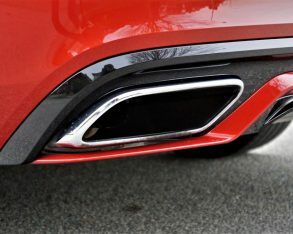 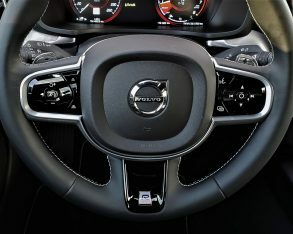 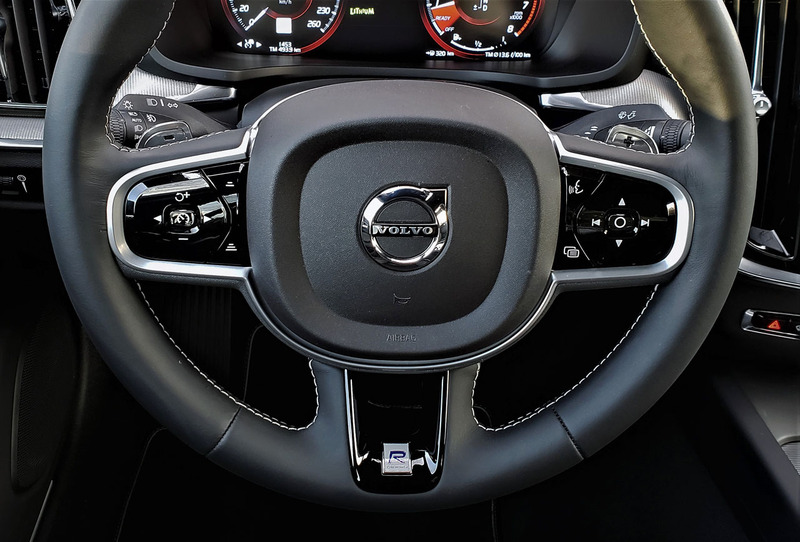 The V60 could only be had as a base Momentum or top-line Inscription, but the S60 provides both of these grades as well as sportier R-Design and sportiest Polestar Engineered guises, the latter boasting the brand’s hybridized plug-in powertrain that ups performance to 400 horsepower and 400 lb-ft of torque via the same turbocharged and supercharged 2.0-litre four-cylinder as offered with T6 powered models. 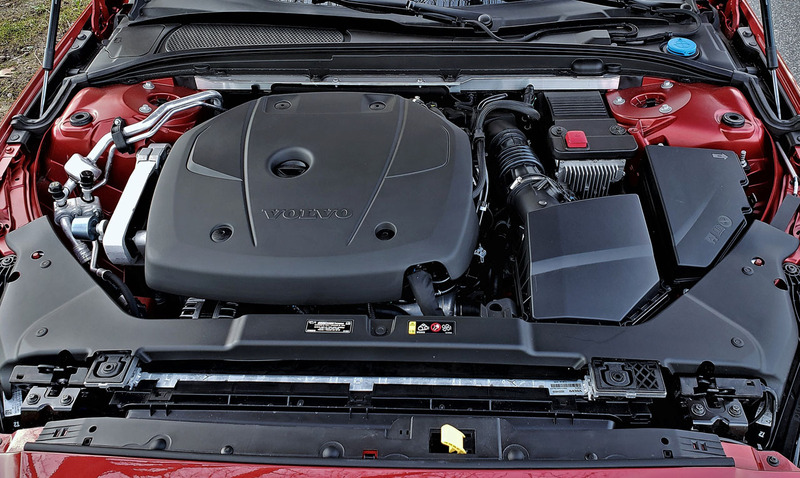 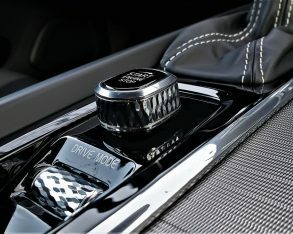 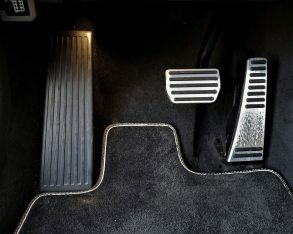 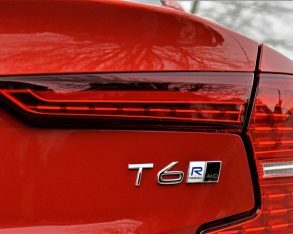 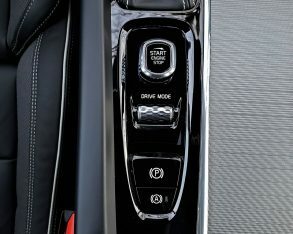 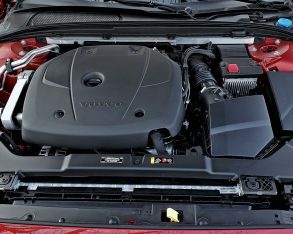 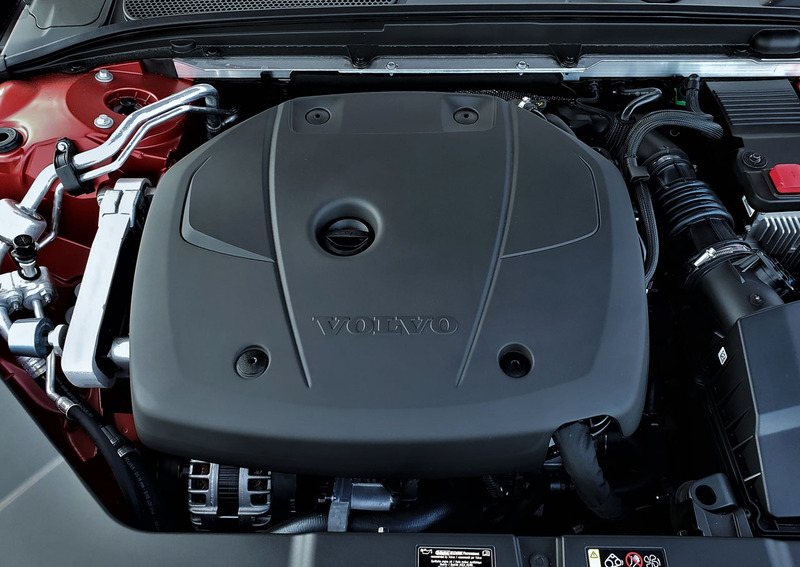 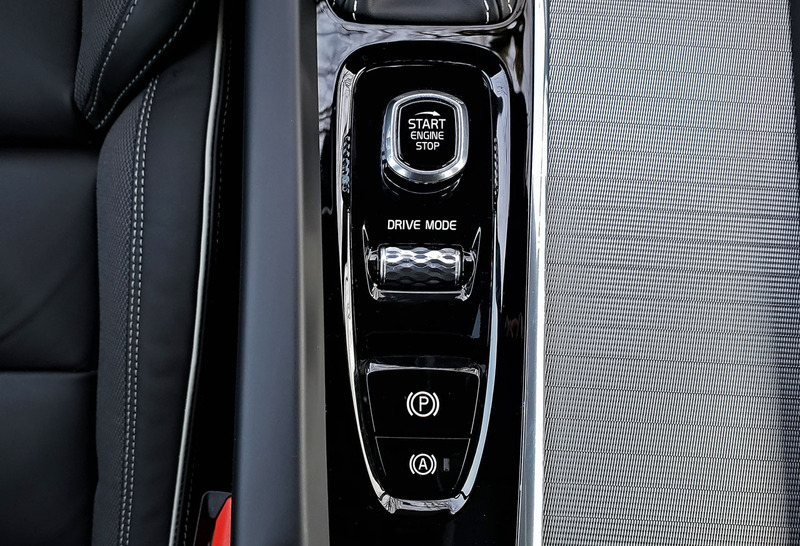 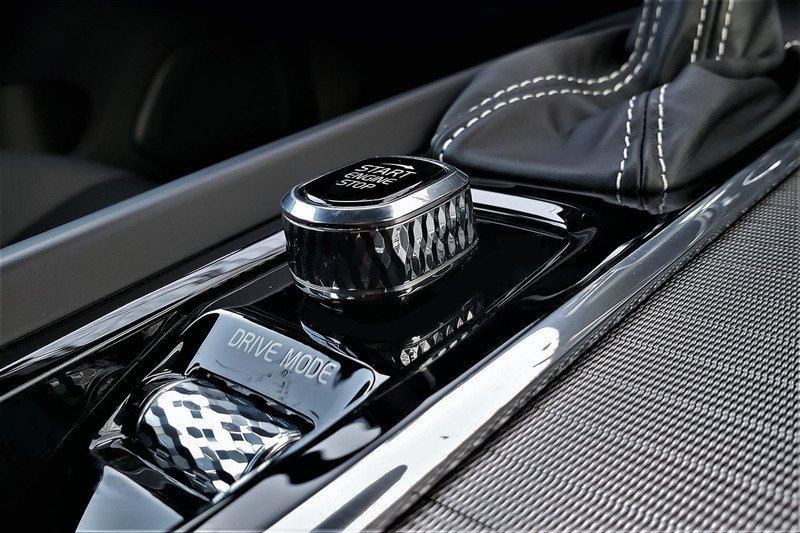 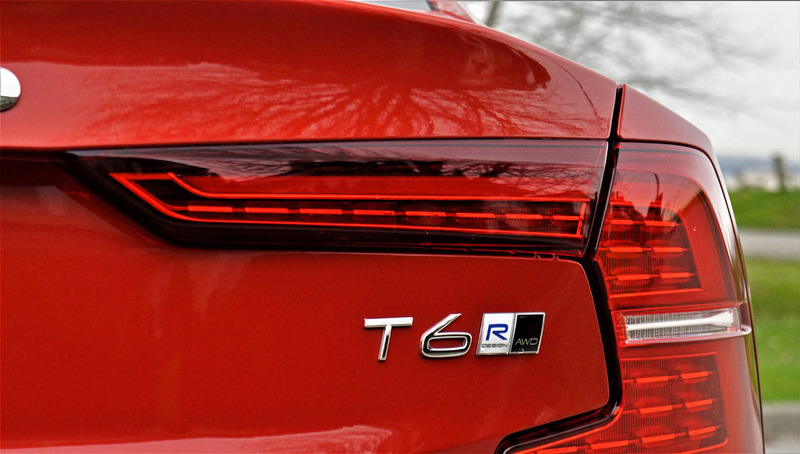 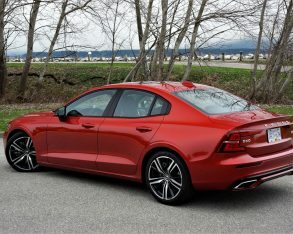 Along that stream of thought, most S60 buyers will opt for T5 FWD or T6 AWD powertrains, the former, which is only available in Momentum trim, featuring the same 2.0-litre four without the supercharger for 250 horsepower and 258 lb-ft of torque, and as the three-letter acronym states drives the front wheels, while the latter, which is available with Momentum trim and comes standard with the R-Design and Inscription, makes a more soul-stirring 316 horsepower and 295 lb-ft of torque and turns all four wheels. 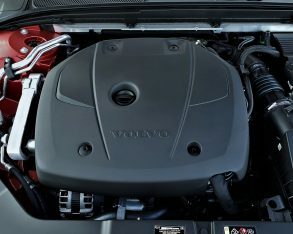 Both engines come standard with auto engine start/stop that helps to reduce emissions and fuel consumption by shutting the engine down when it would otherwise be idling, this aiding the base T5 FWD to achieve a claimed five-cycle rating of 10.2 L/100km in the city and 6.8 on the highway, while the new T6 AWD is good for an estimated 10.9 city and 7.7 highway, and plug-in T8 Polestar is rated at 9.1 city and 9.1 highway. 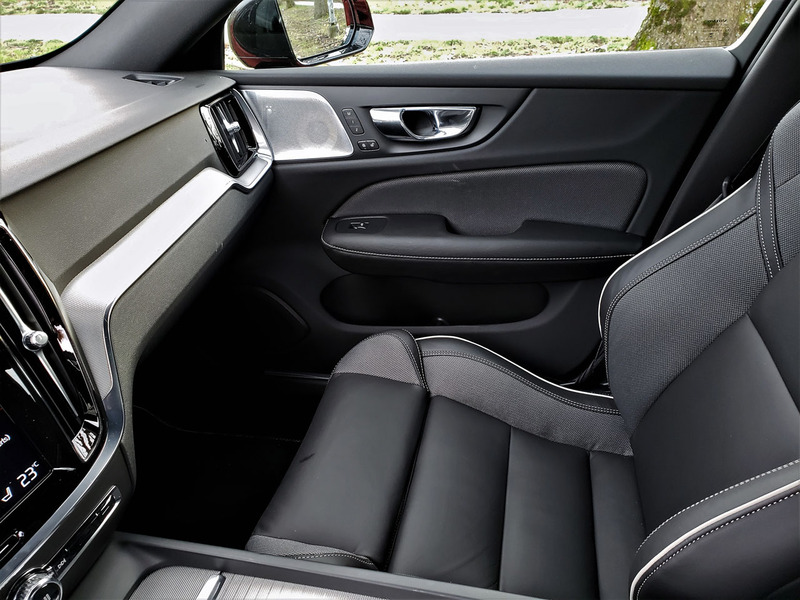 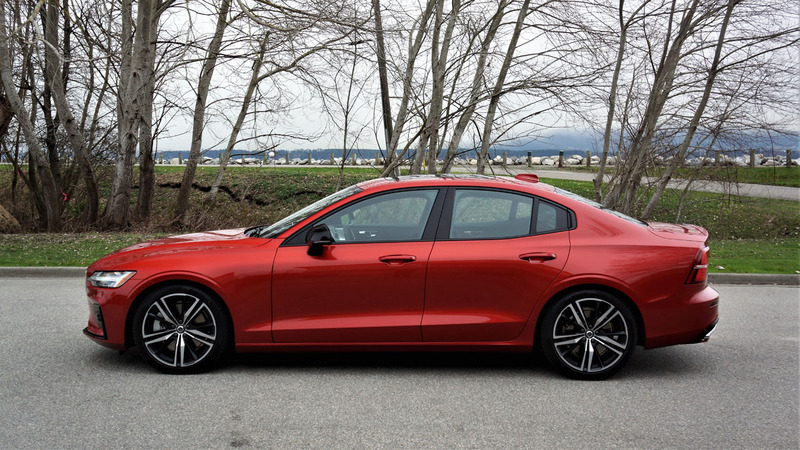 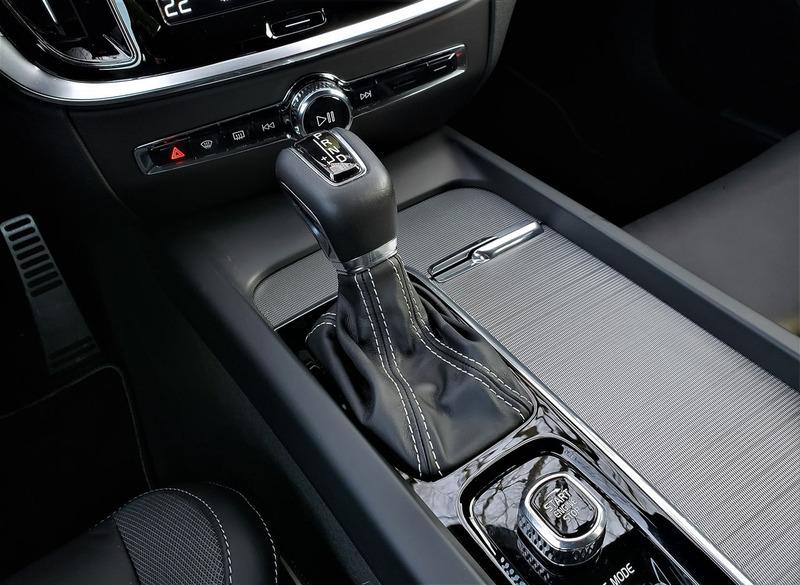 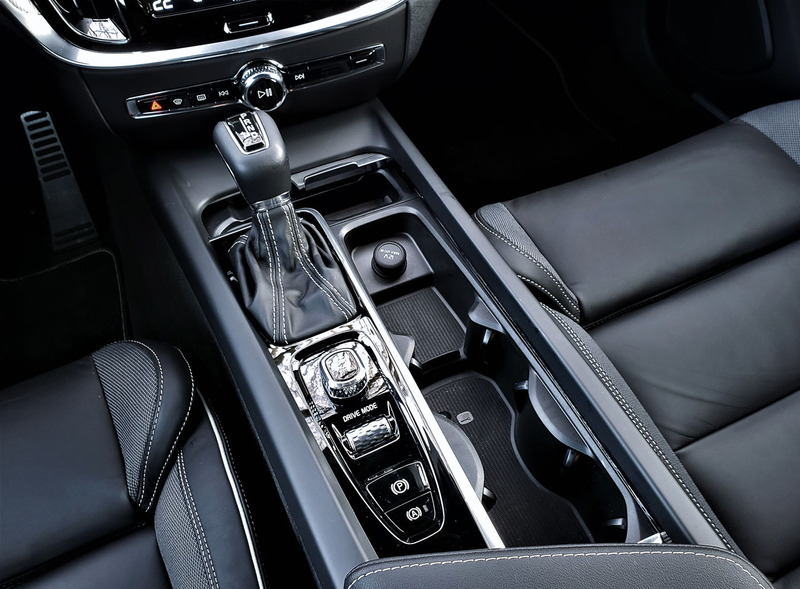 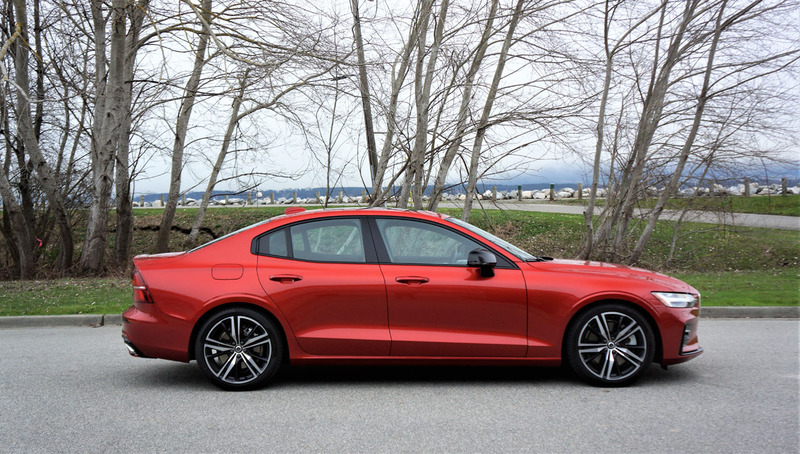 The 2019 S60 Momentum T5 FWD starts at $42,400 plus freight and fees, which is only $250 more than last year’s version despite its all-new design and upgraded everything, and comes standard with those aforementioned LED headlamps, 17-inch alloy wheels, metal door sill treadplates, rain-sensing wipers, an eight-inch driver display, Road Sign Information (RSI), a powered panoramic glass sunroof, an auto-dimming rearview mirror, a three-spoke leather-wrapped multifunction steering wheel, dual-zone automatic climate control with a Clean Zone Air Quality system and a humidity sensor, rear parking sensors, a backup camera with dynamic guidelines, Apple CarPlay and Android Auto, voice activation, two USB ports, Bluetooth phone connectivity with streaming audio, Volvo On-Call with remote start and vehicle tracking, 170-watt 10-speaker audio, satellite radio, leatherette upholstery, power-adjustable heated front seats with two-way powered lumbar support and driver’s memory, a 120-volt household-style power outlet in the rear console, power-folding rear seat headrests, dual chromed tailpipes, and more. 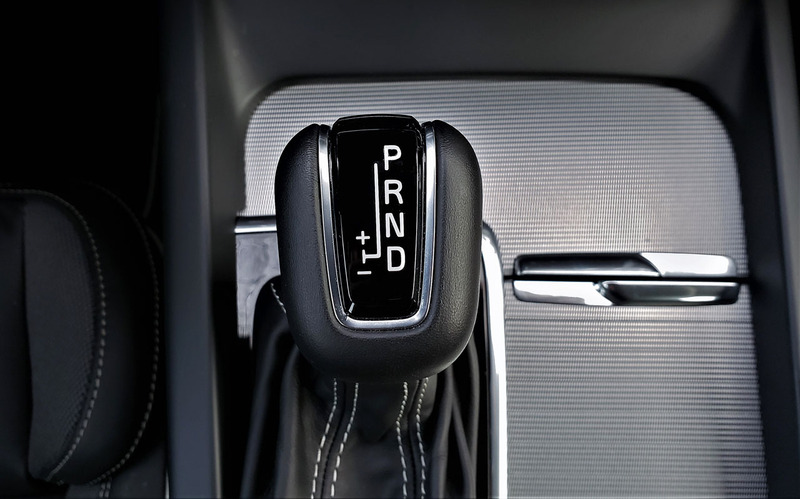 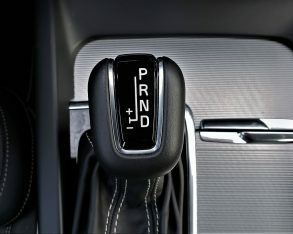 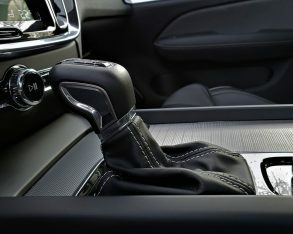 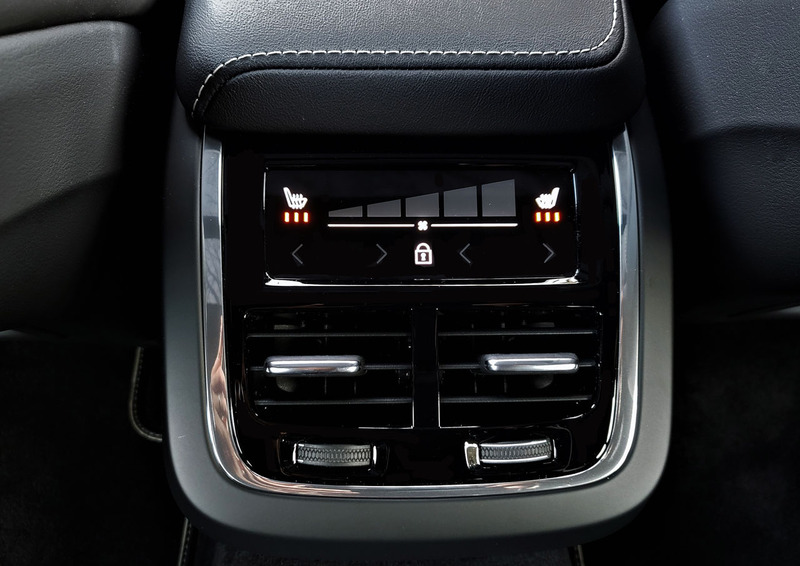 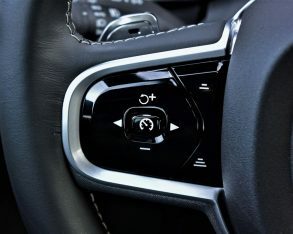 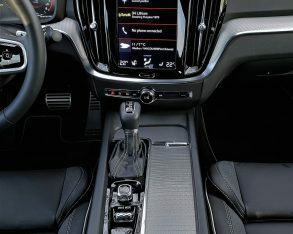 This being a Volvo means plenty of safety gear comes standard too, so therefore all 2019 S60 trims get City Safety automatic front collision warning with full low- and high-speed autonomous emergency braking, plus Driver Alert Control, steering support, Run-Off Road Mitigation, Lane Keeping Aid and Oncoming Lane Mitigation, as well as all the usual active and passive safety features including an airbag for the driver’s knees, front seat whiplash protection, and pyrotechnical seatbelt pretensioners in all positions front to rear. 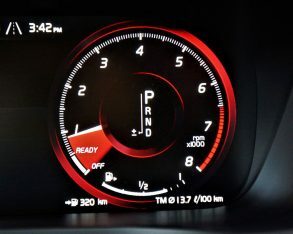 Of special note, if sensing an imminent head-on collision the new oncoming braking system will automatically activate maximum braking force two-tenths of a second before impact. 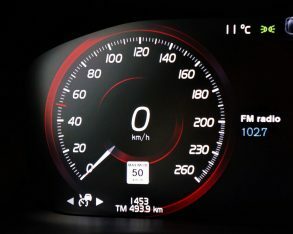 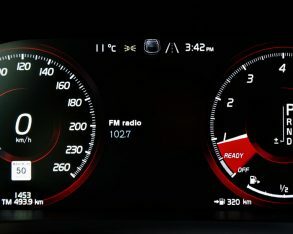 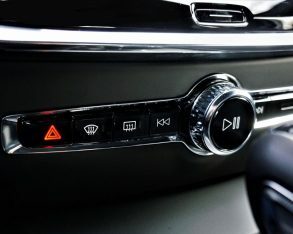 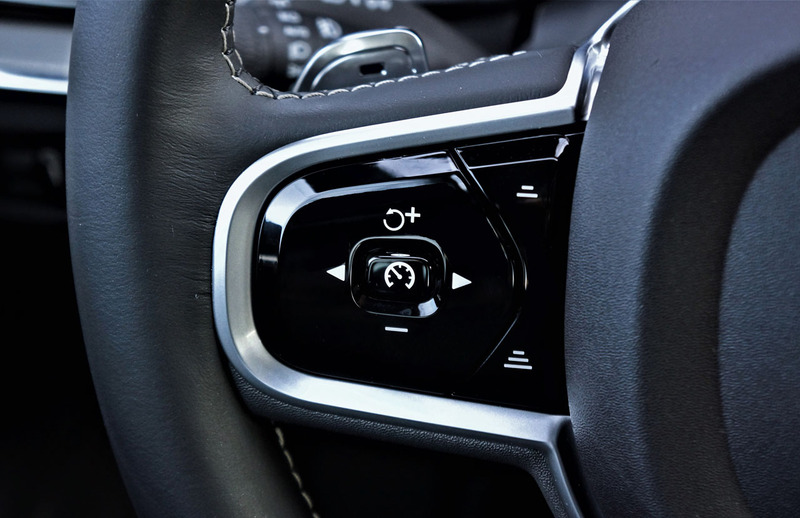 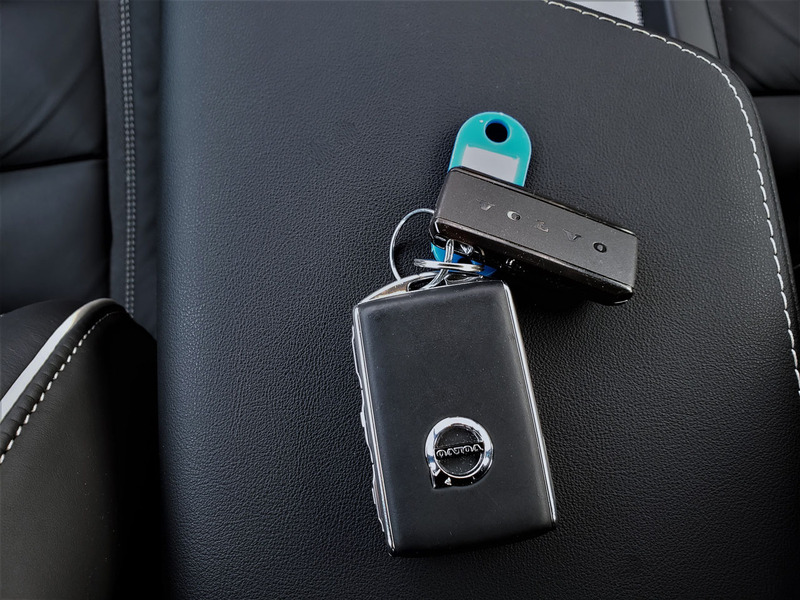 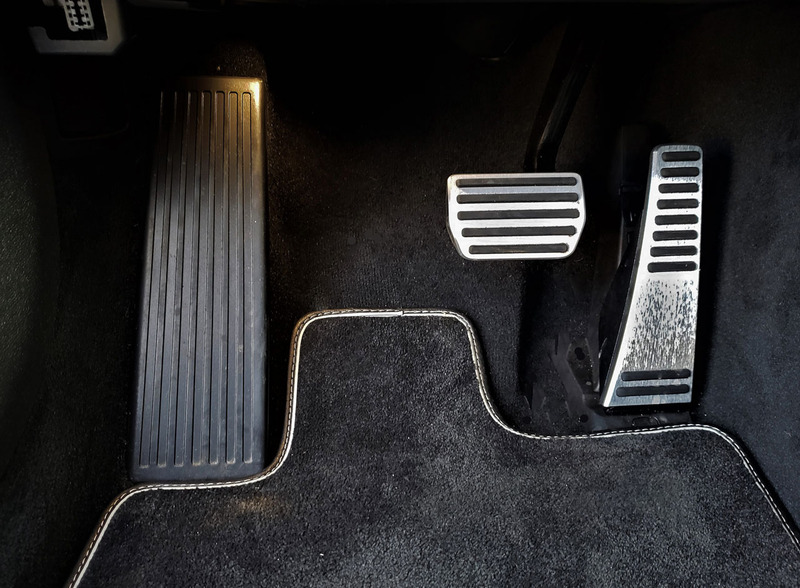 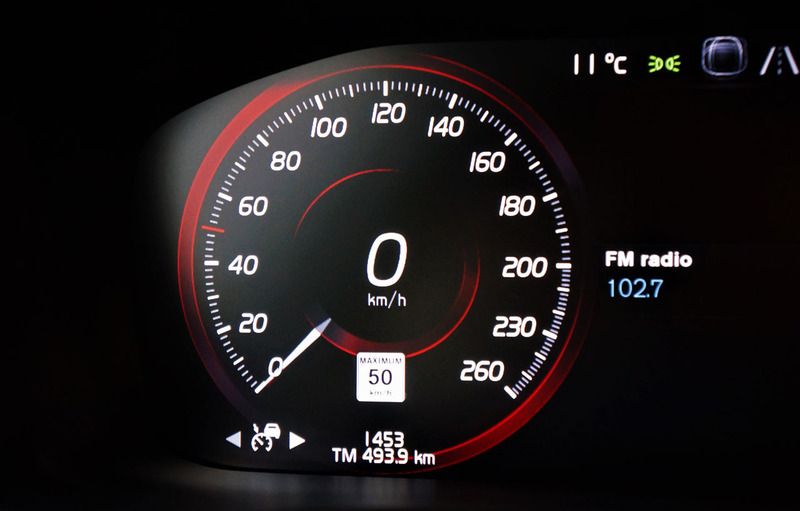 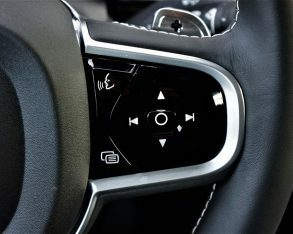 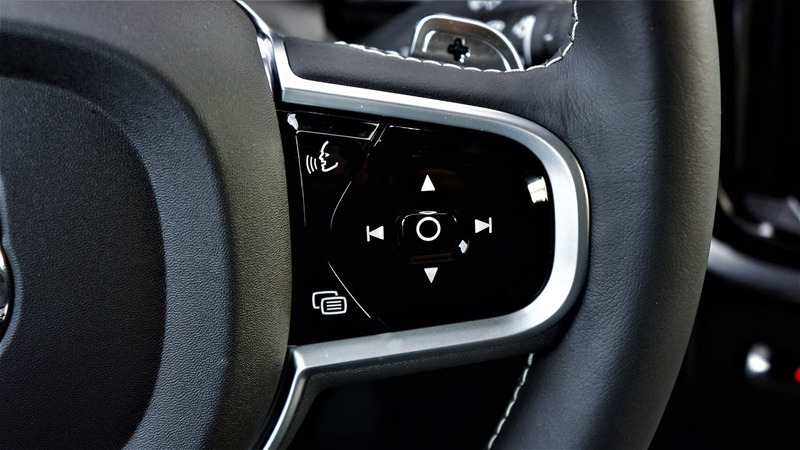 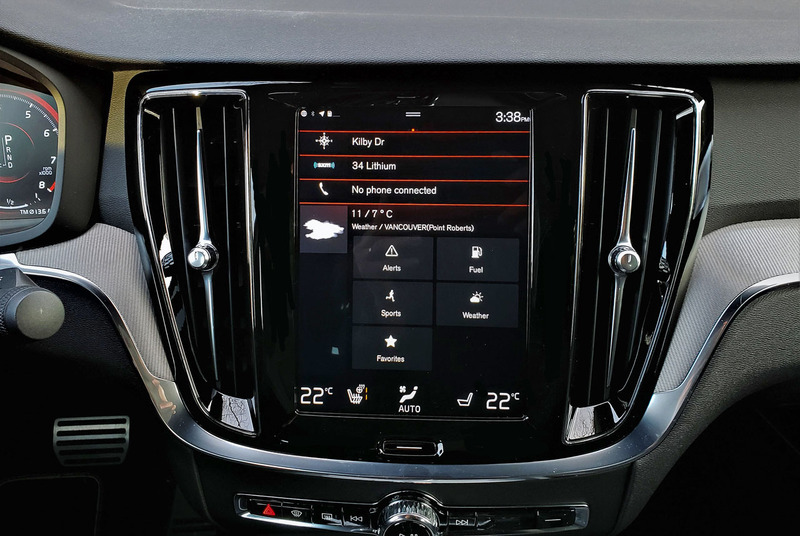 Volvo claims this feature reduces vehicle speed by 10 km/h ahead of an impact, which could potentially be a lifesaver and certainly help to minimize life-altering injury. 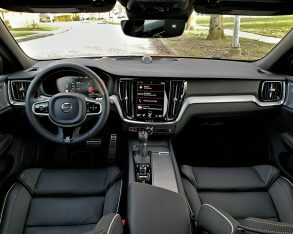 Of course, all of the above are included with our $52,400 R-Design tester too, as is a unique R-Design front grille, full LED headlamps with auto high beams and active bending, fog lamps with active bending, high-gloss black exterior trim including the side mirror caps, door handle puddle lamps, 18-inch alloy wheels, a lowered sport suspension with firmer shock absorbers, proximity-sensing keyless access, special R-Design metal sill mouldings, R-Design carpeted floor mats, a three-spoke R-design leather-wrapped steering wheel, R-Design metal pedals, a 12.3-inch digital gauge cluster, paddle shifters for the eight-speed automatic gearbox, driver selectable low, medium and high personal power steering settings, Comfort, Eco or Dynamic adjustable drive mode settings, four-zone automatic climate control with rear controls, navigation, Metal Mesh decor inlays, a black headliner, Fine Nappa leather upholstery with contrast stitching, six-way powered front contoured sport seats with four-way powered lumbar support, and two-way memory, a power extendable lower cushion for the driver, and more. 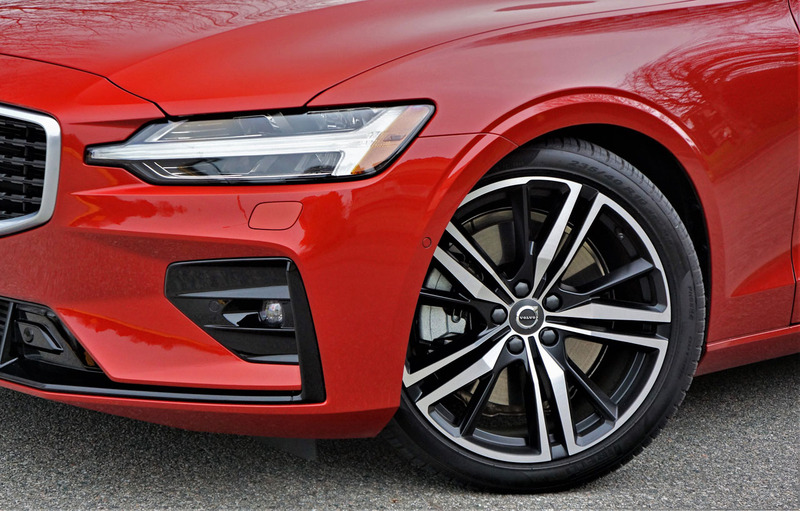 The new S60 sits atop the same Scalable Product Architecture (SPA) chassis architecture that underpins the larger S90 luxury sedan and everything else in today’s Volvo lineup other than the compact XC40 crossover that utilizes the brand’s new Compact Modular Architecture (CMA) platform. 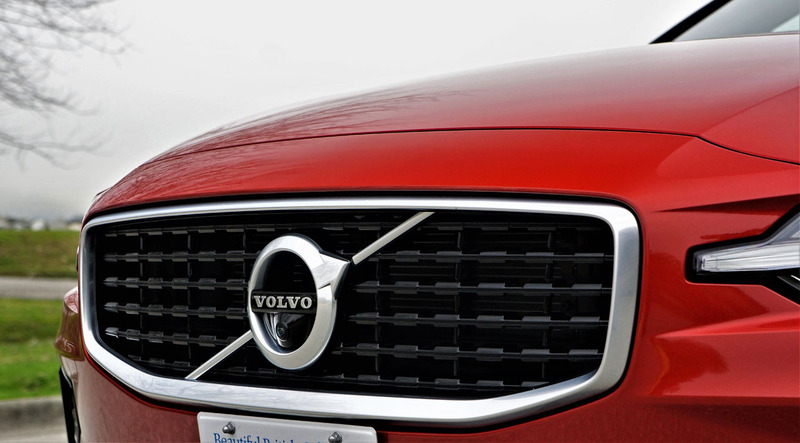 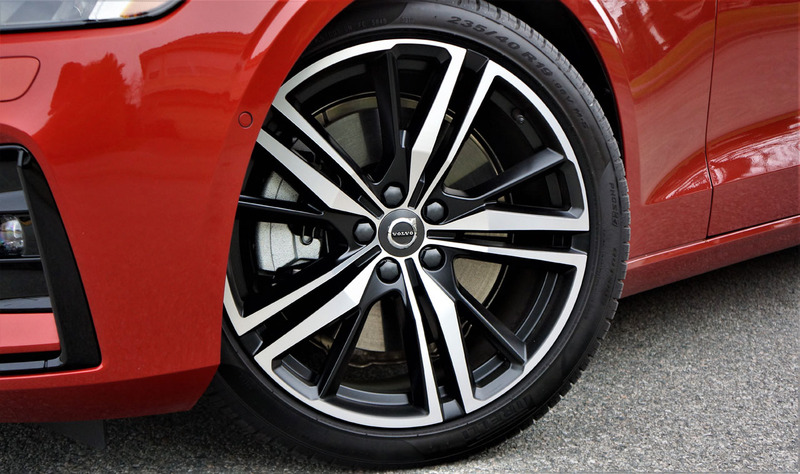 SPA and the Volvo models built upon it have been widely praised by auto scribes like us, as well as Volvo customers. 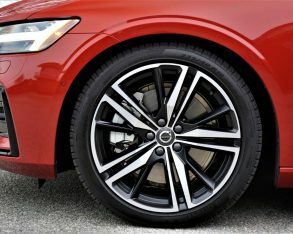 The S60’s chassis is comprised of aluminum double wishbones up front and an exclusive integral link rear suspension design featuring a transverse lightweight composite leaf spring, Volvo promising both a comfortable ride and sporty handling from this fully independent setup that we’ll report on in our upcoming review. 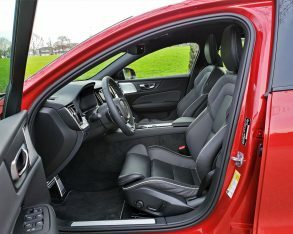 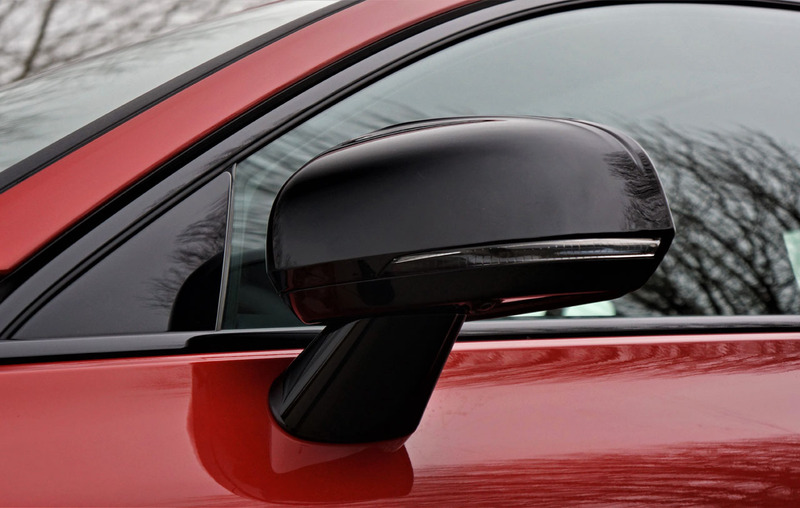 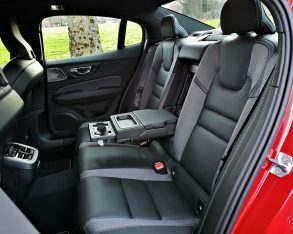 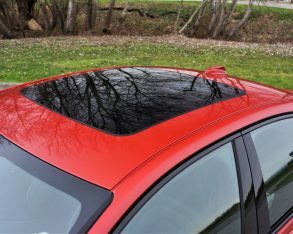 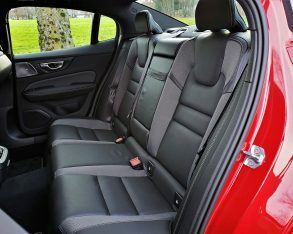 Our tester looks good in its $900 optional Fusion Red Metallic paintwork, one of five optional colours plus no-cost standard Black Stone, while the R-Design’s interior is Charcoal black. 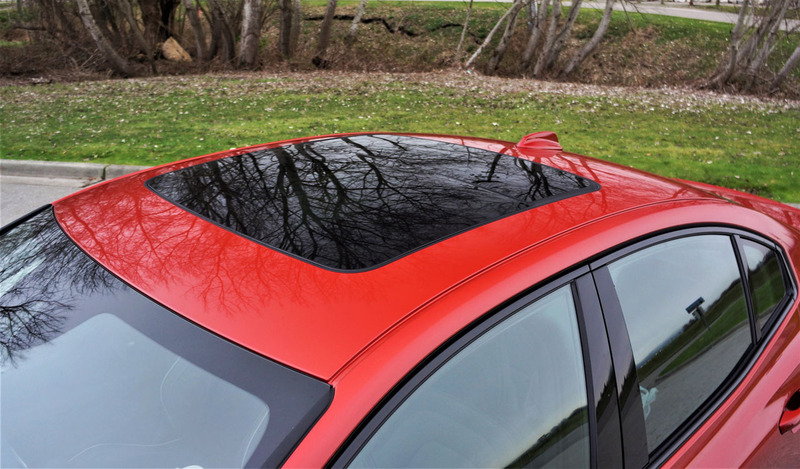 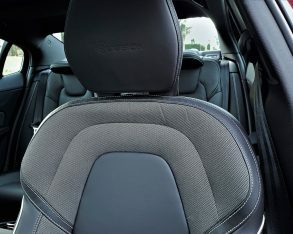 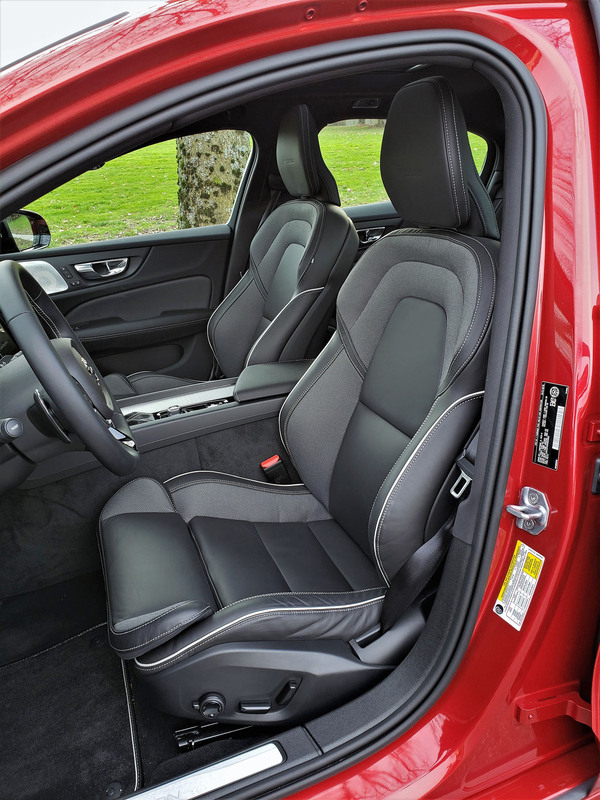 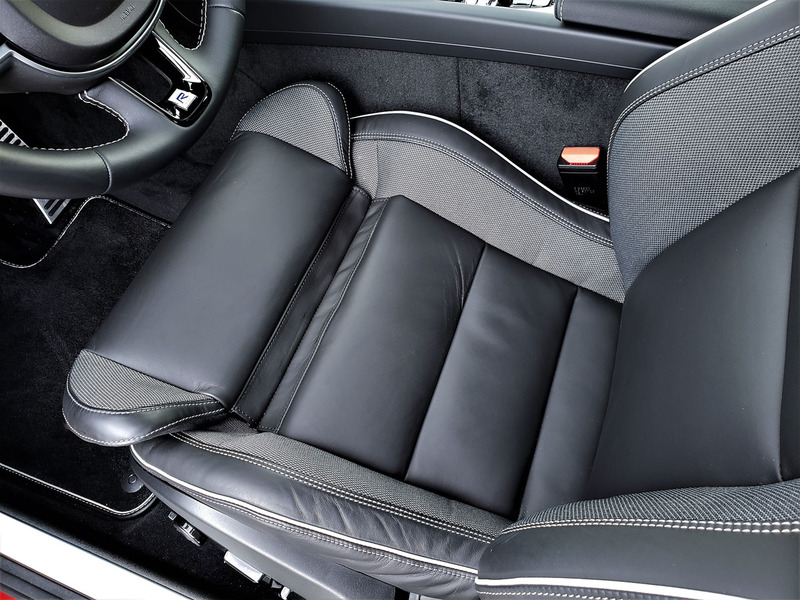 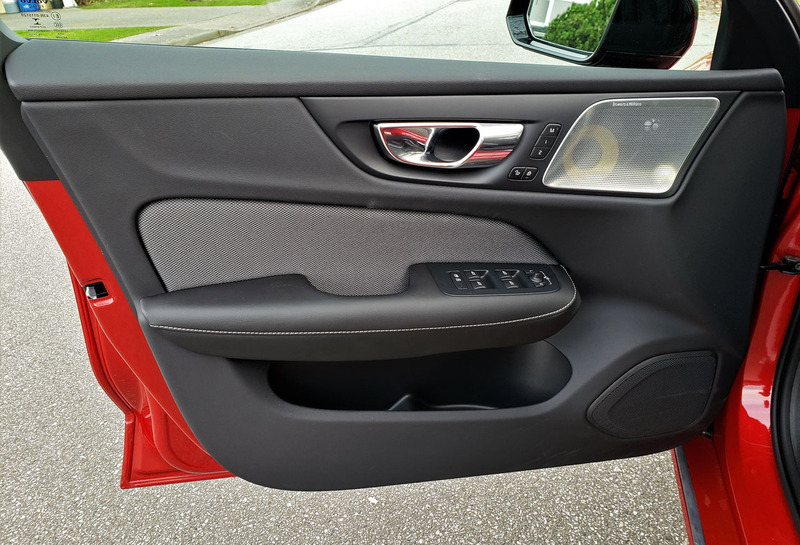 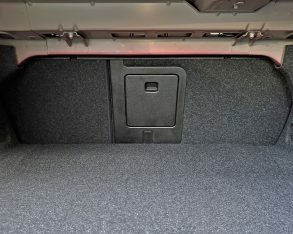 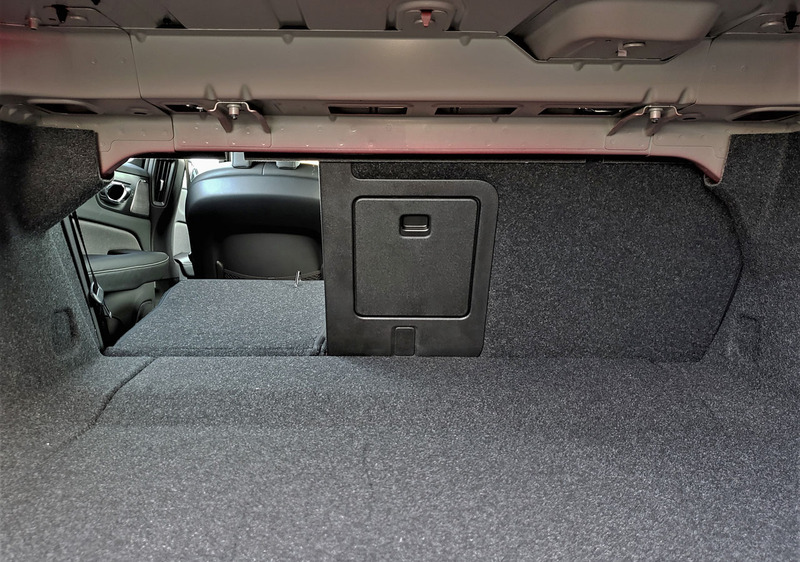 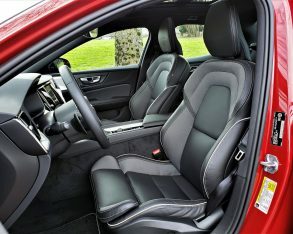 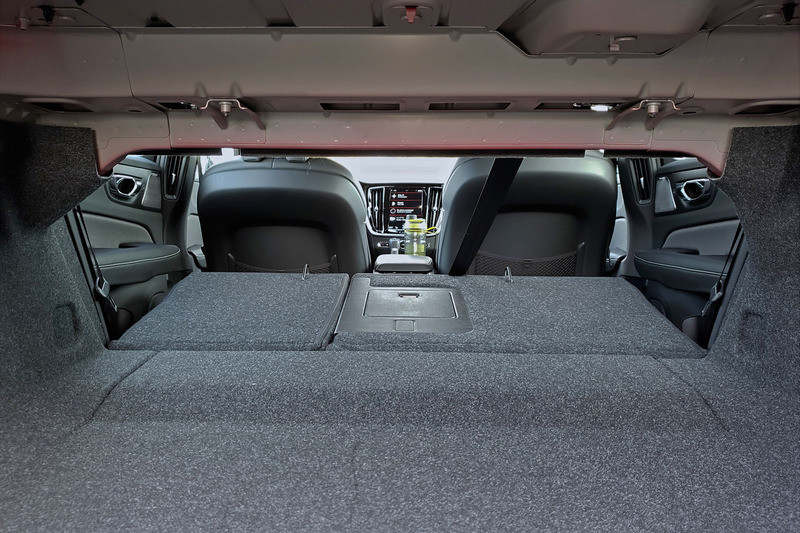 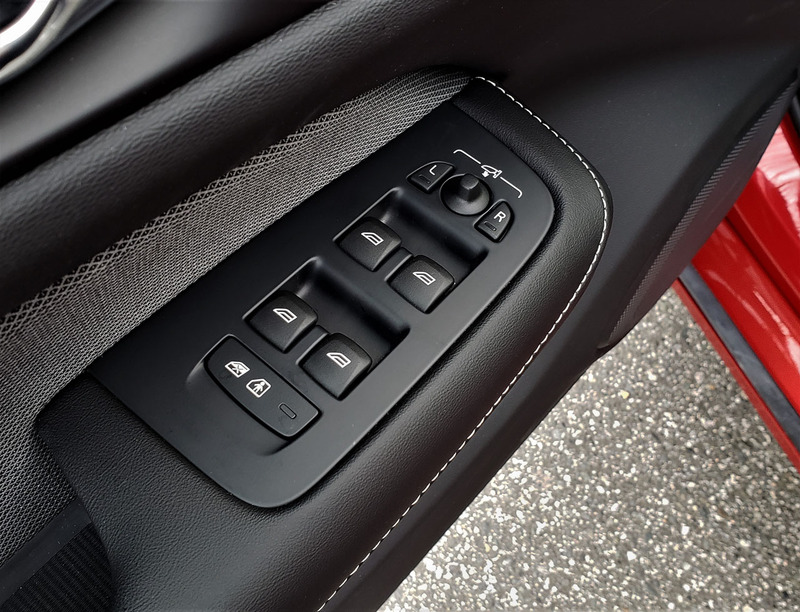 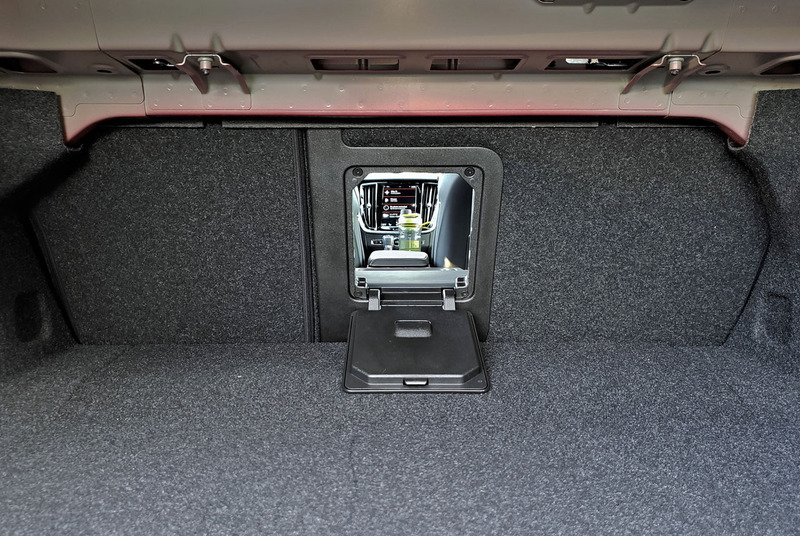 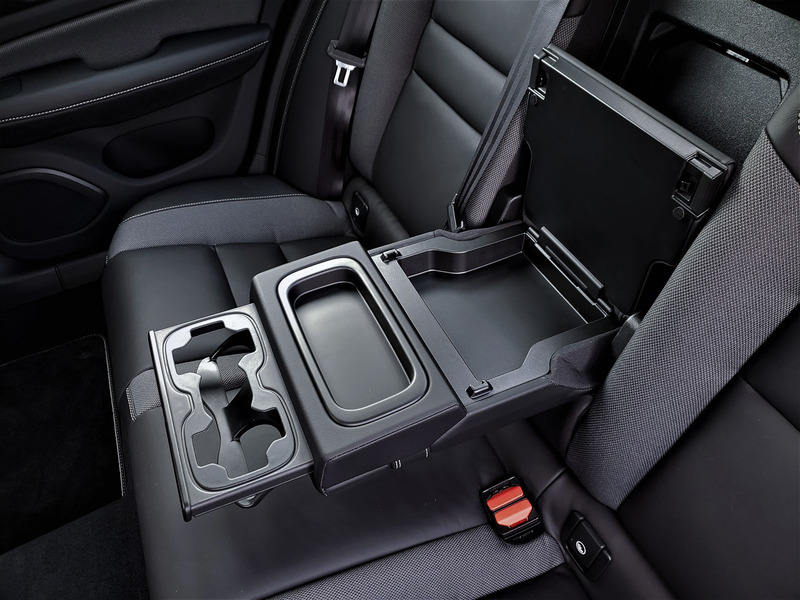 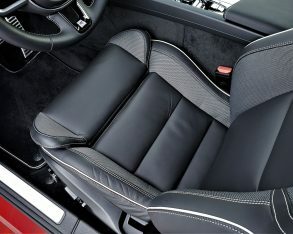 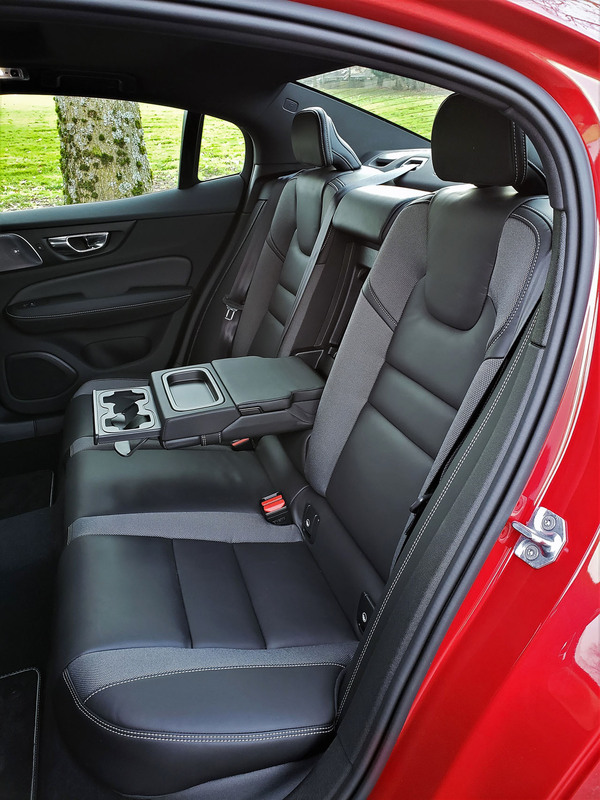 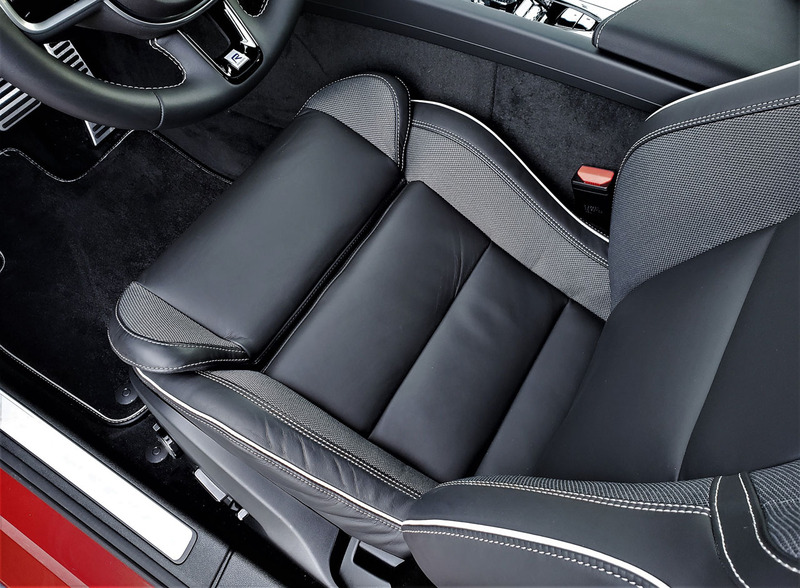 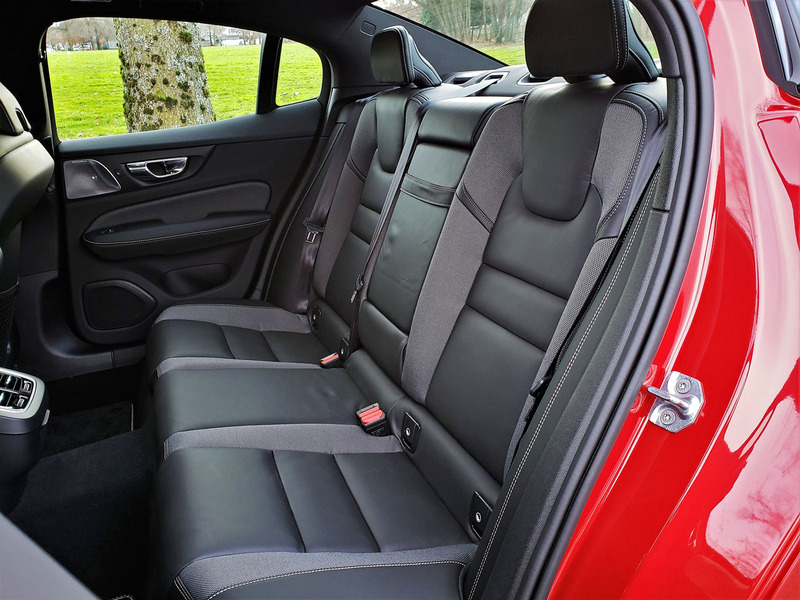 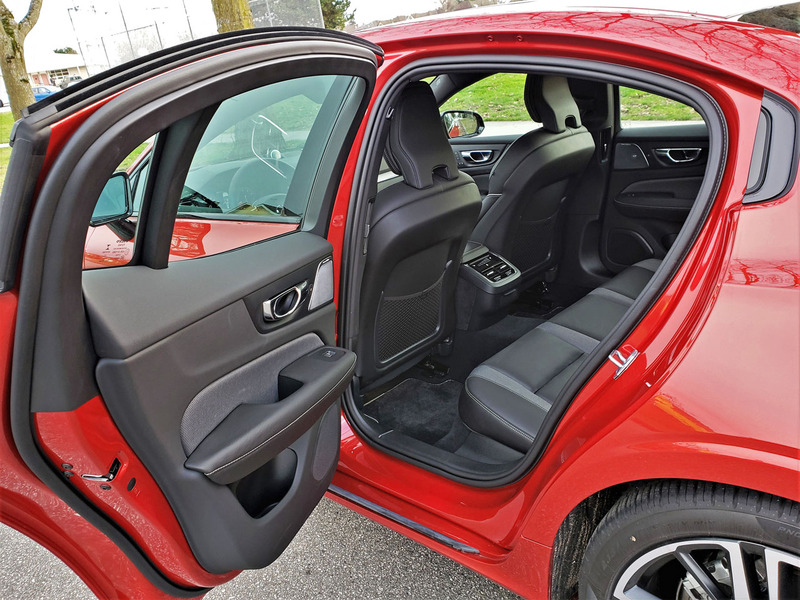 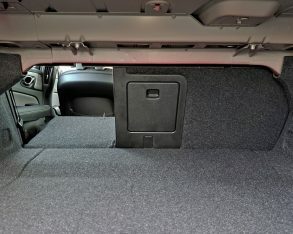 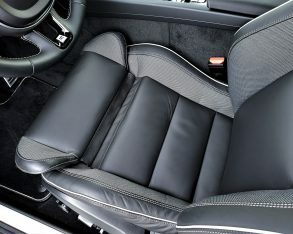 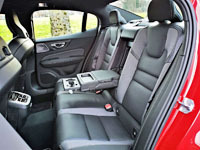 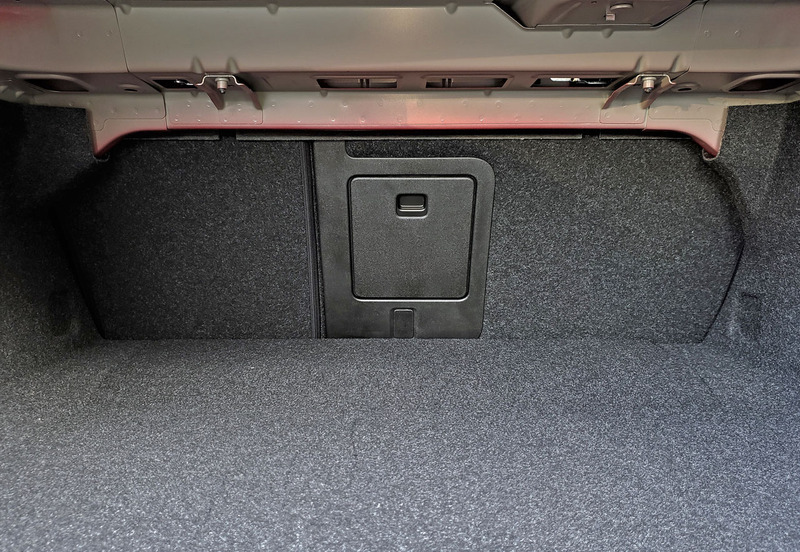 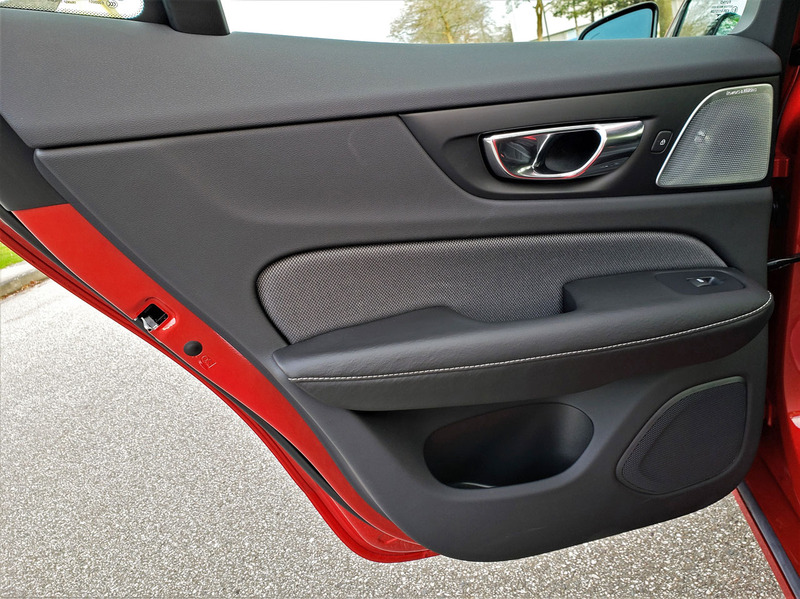 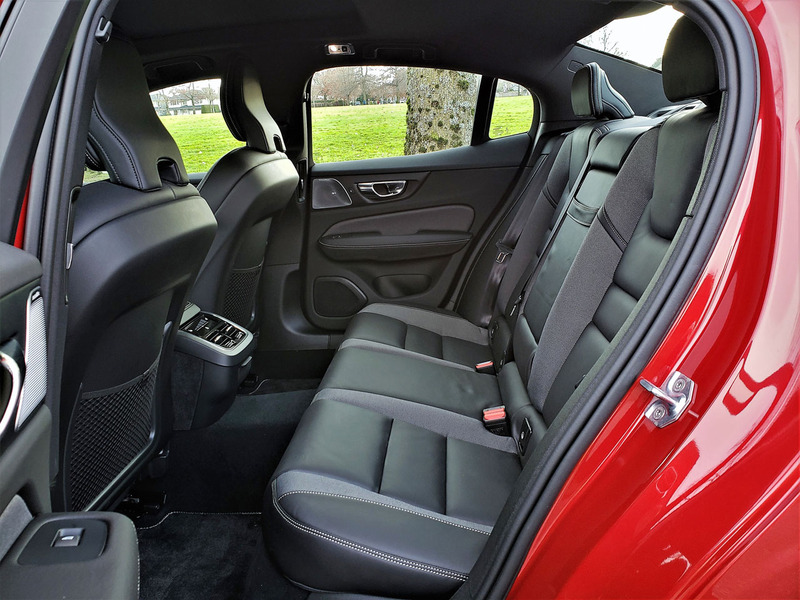 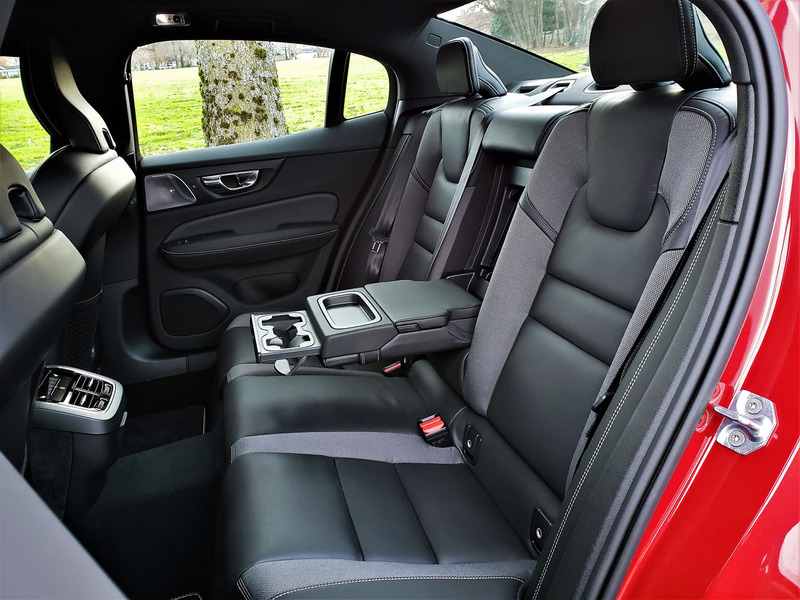 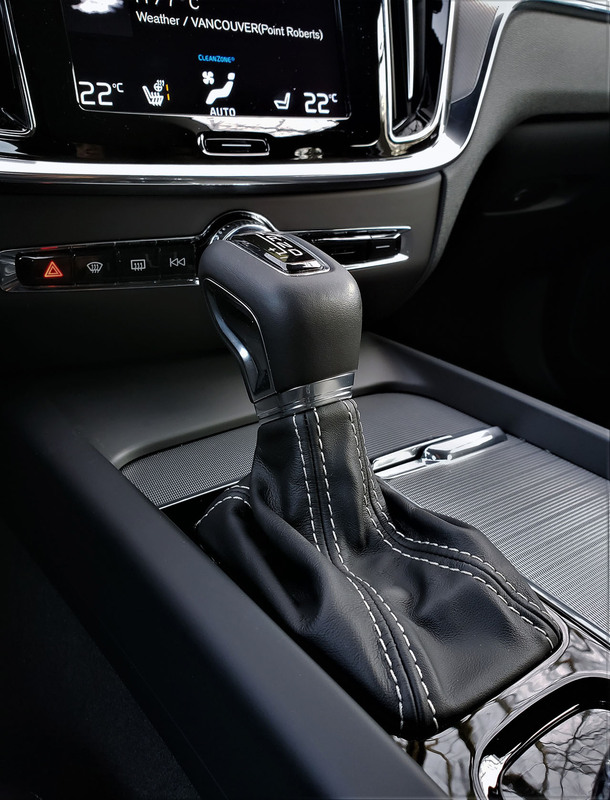 Those choosing base Momentum trim can allow for seven exterior colours and a variety of interior motifs, while Inscription buyers get the choice of eight colours albeit fewer cabin combinations, but the Momentum’s upgradable upholsteries are no-cost options in the Inscription. 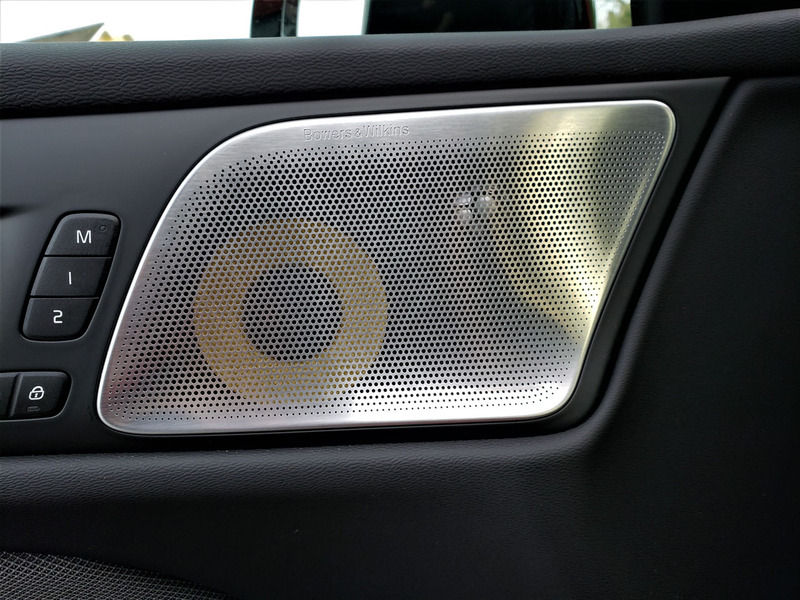 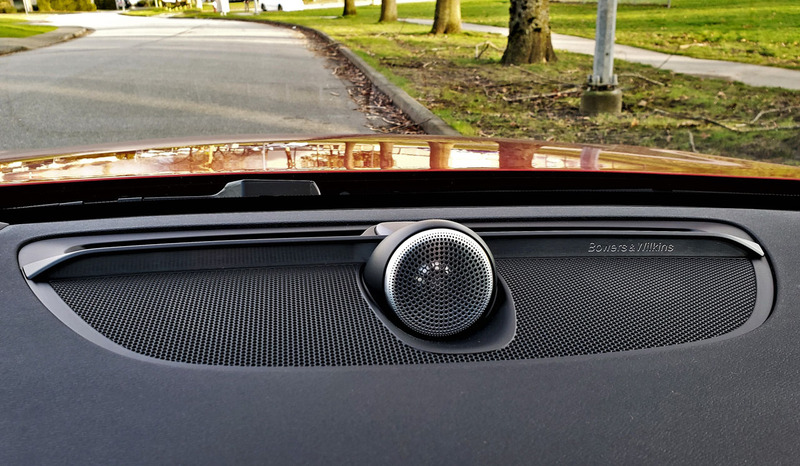 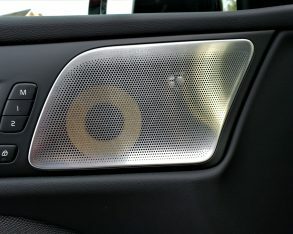 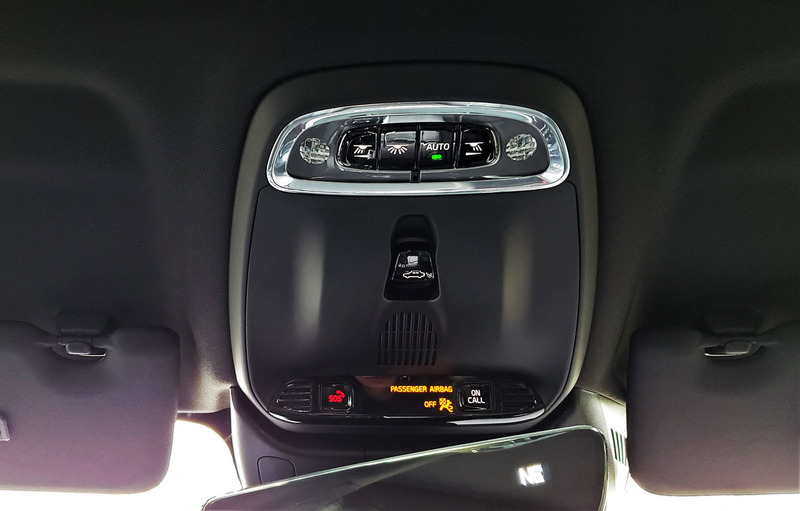 Our R-Design tester also features a set of $1,000 19-inch alloy wheels, while available individual options include a $1,150 graphical head-up display unit and a $3,750 15-speaker, 1,100-watt Bowers & Wilkins audio system, both of which are included as well. 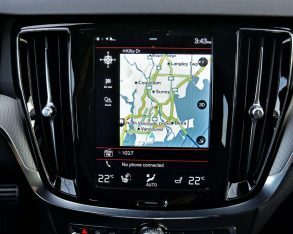 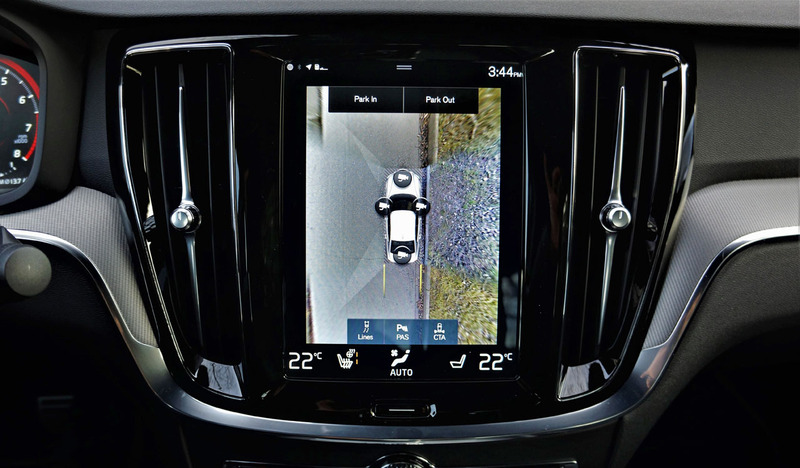 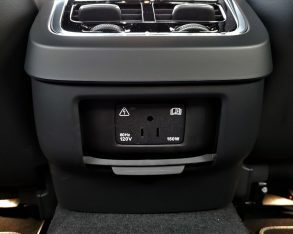 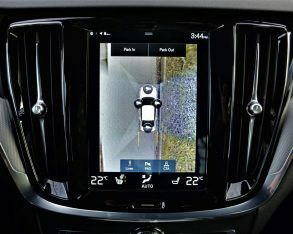 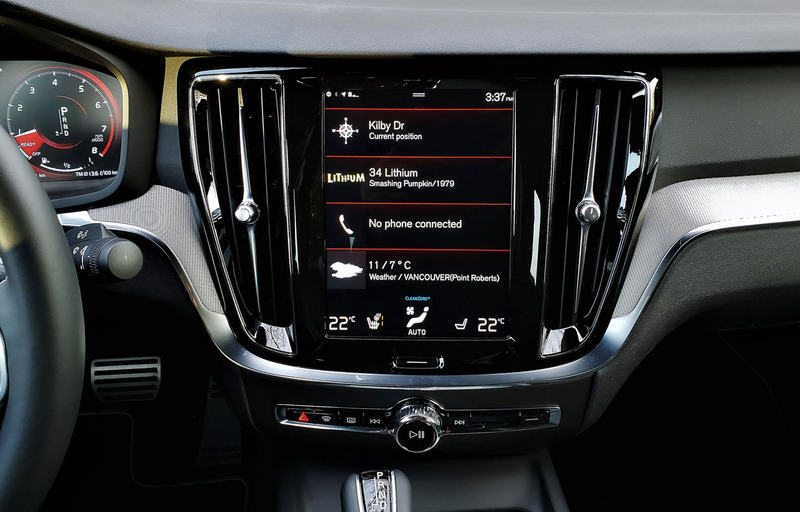 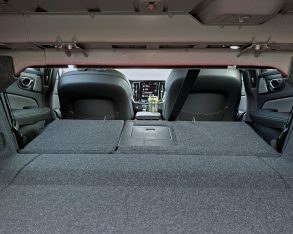 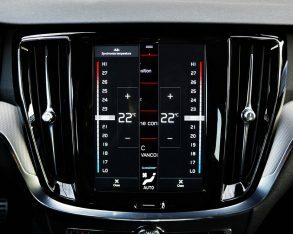 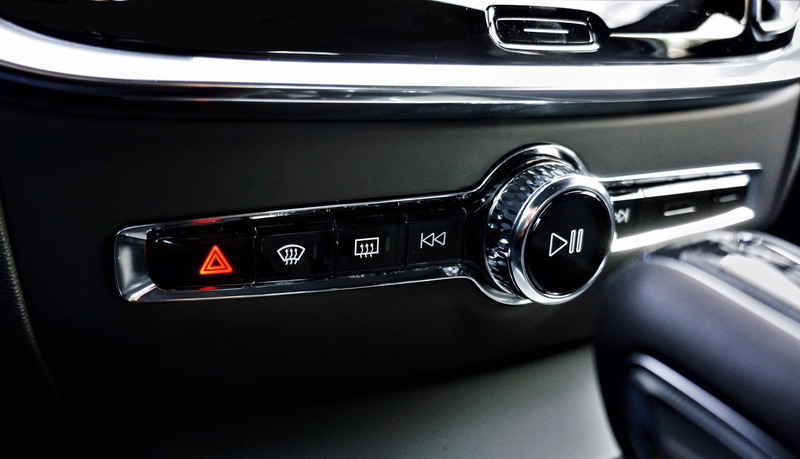 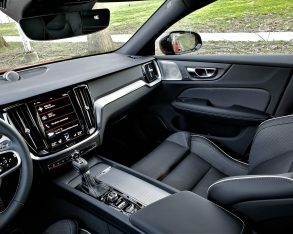 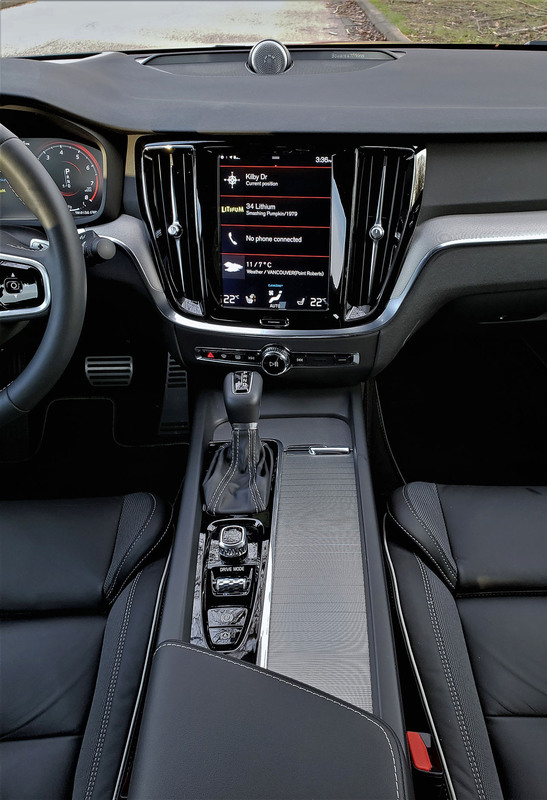 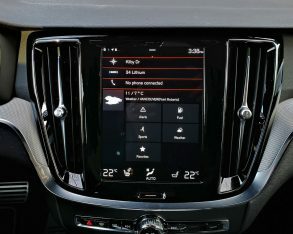 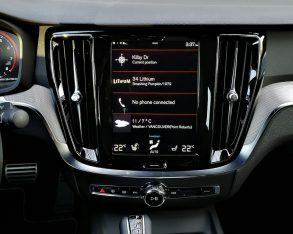 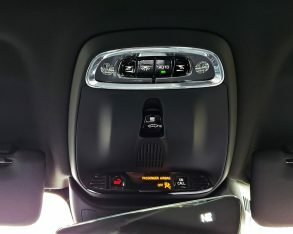 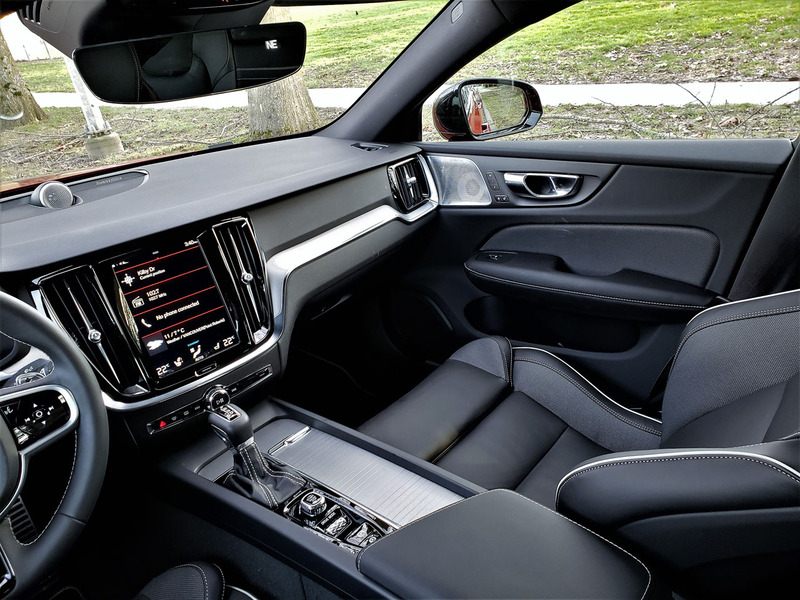 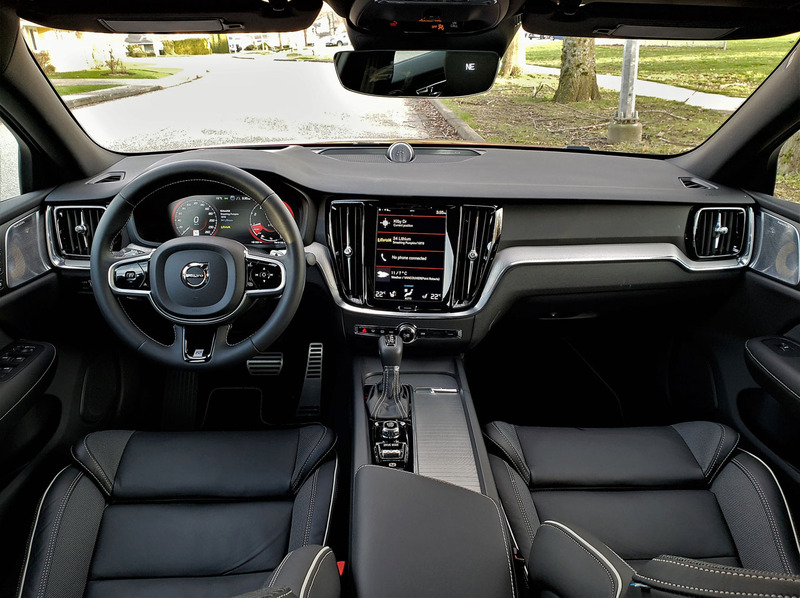 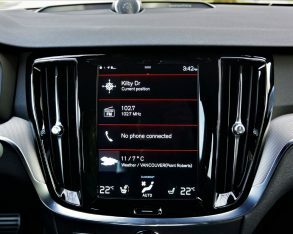 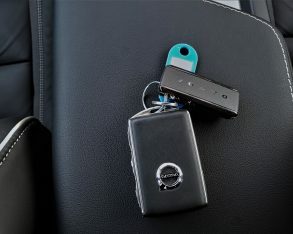 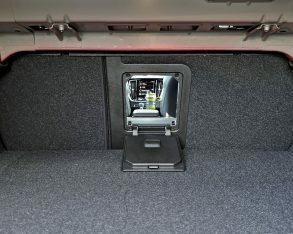 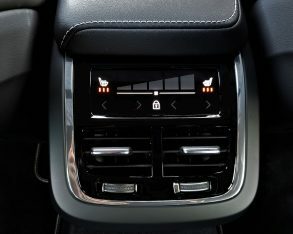 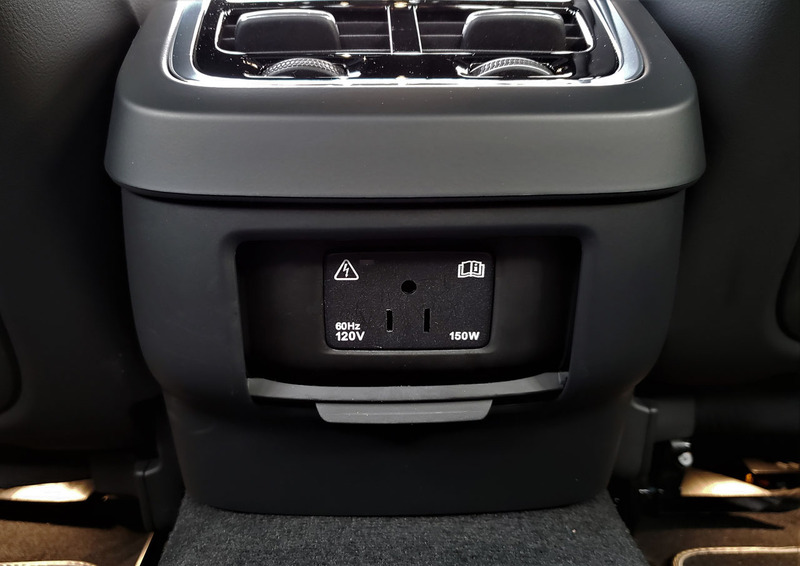 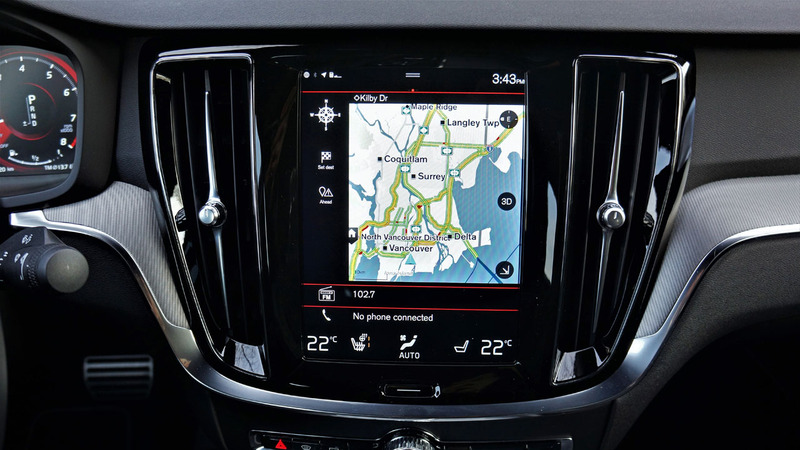 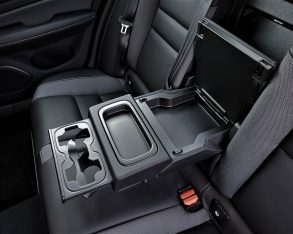 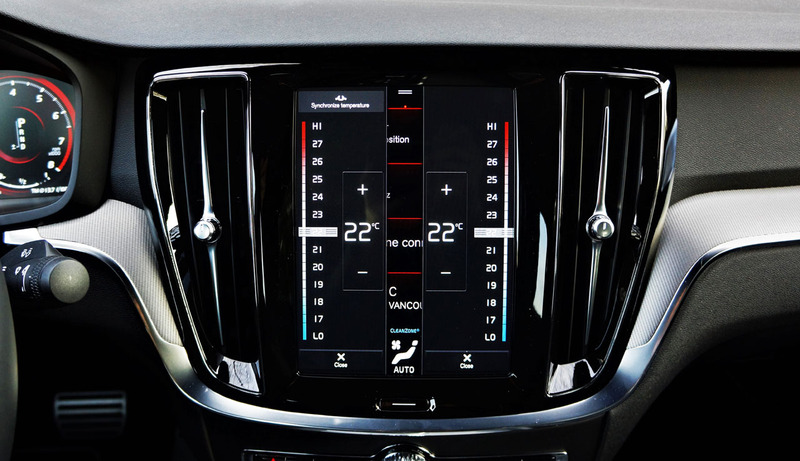 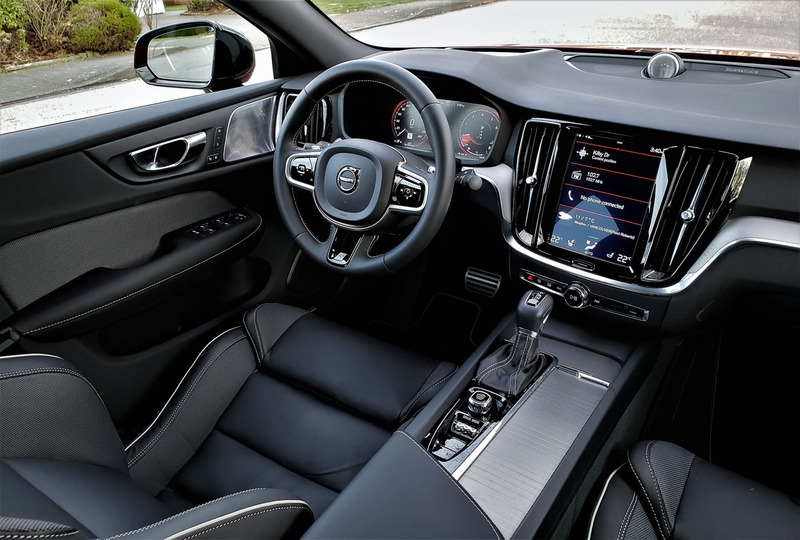 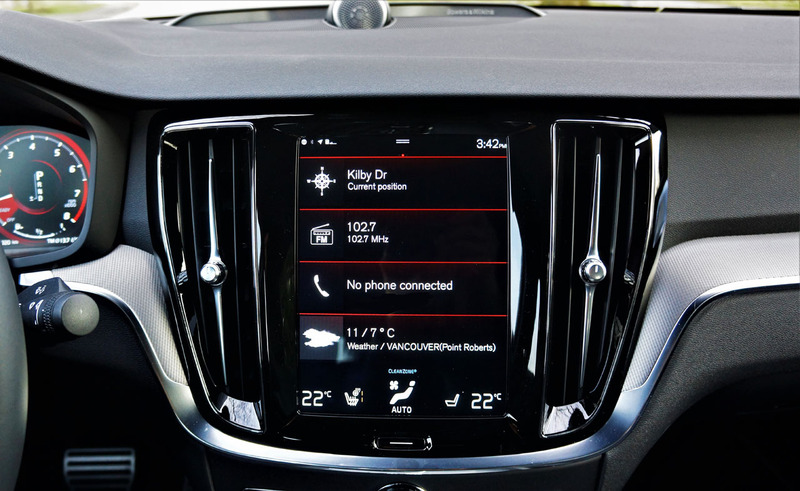 Also included is a $1,250 Climate Package that includes heated Aquablades windshield wipers, a heatable steering wheel, and heated rear seats; a $1,500 Convenience Package with Volvo’s advanced Pilot Assist semi-autonomous drive system featuring Adaptive Cruise Control, plus a Homelink garage door opener and a compass integrated into the rearview mirror; and an $1,800 Vision Package with a 360-degree surround parking camera, Park Assist Pilot semi-autonomous self parking, front parking sensors, auto-dimming power-retractable side mirrors, and blindspot monitoring with rear cross traffic alert. 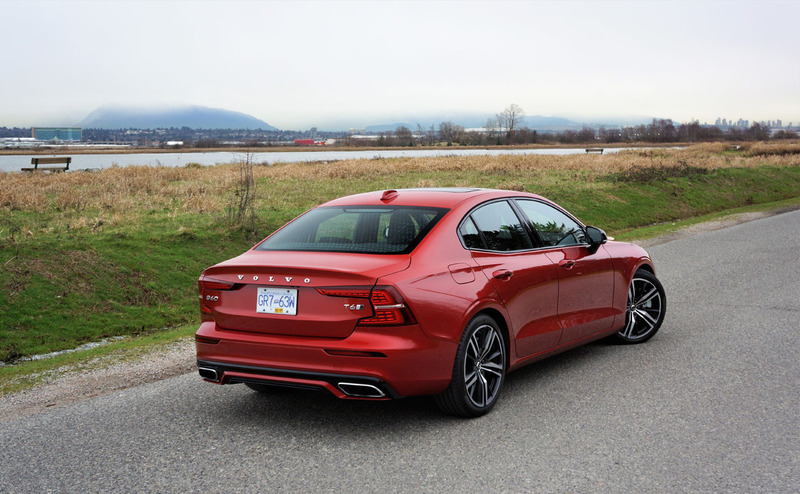 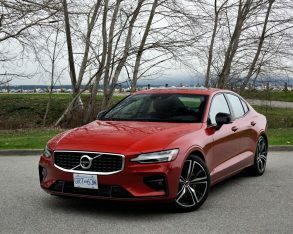 By the way, the $53,900 S60 Inscription includes most of the features found in the slightly less expensive R-Design trim, other than sportier items such as the suspension upgrade, metal pedals and paddle shifters, while swapping out the special R-Design grille for a chromed waterfall design and gloss black window trim from chrome on the outside and the Metal Mesh Decor inlays for beautiful matte Driftwood Decor inside, plus adding unique 10-spoke 18-inch alloys, a tailored instrument panel with stitched soft-touch detailing, perforated Nappa leather upholstery, ventilated front seats, and more. 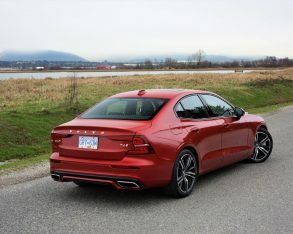 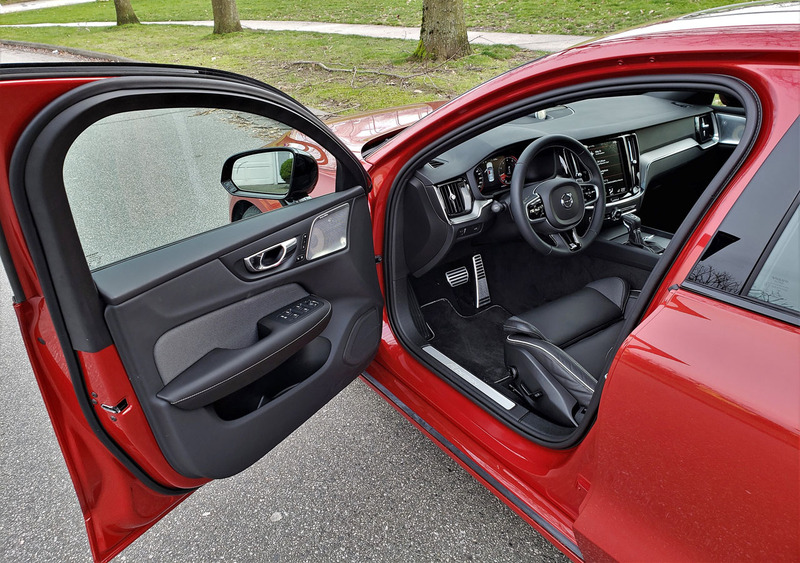 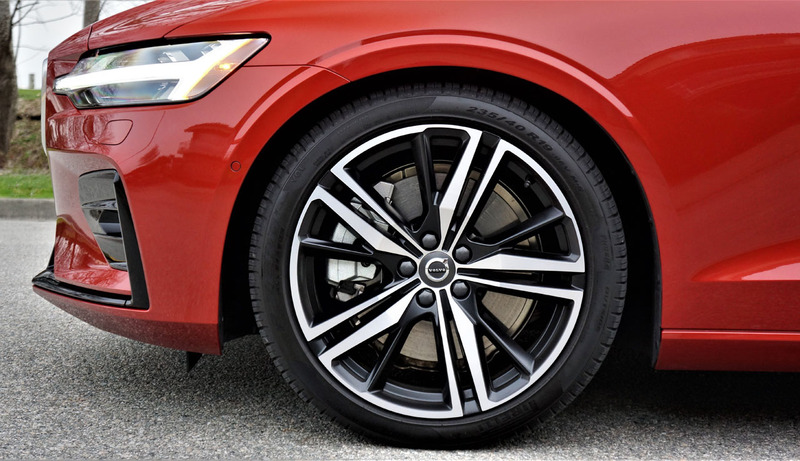 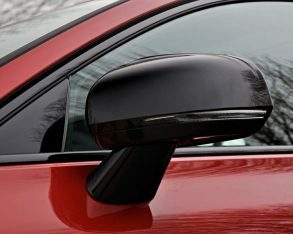 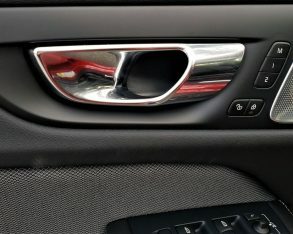 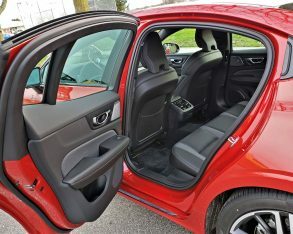 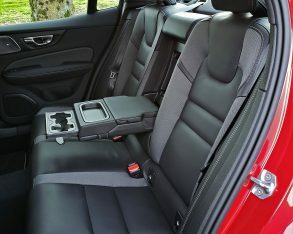 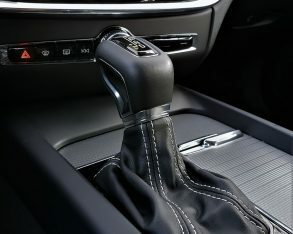 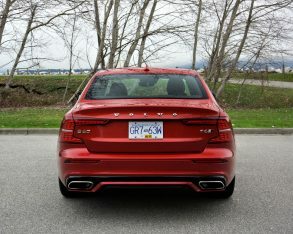 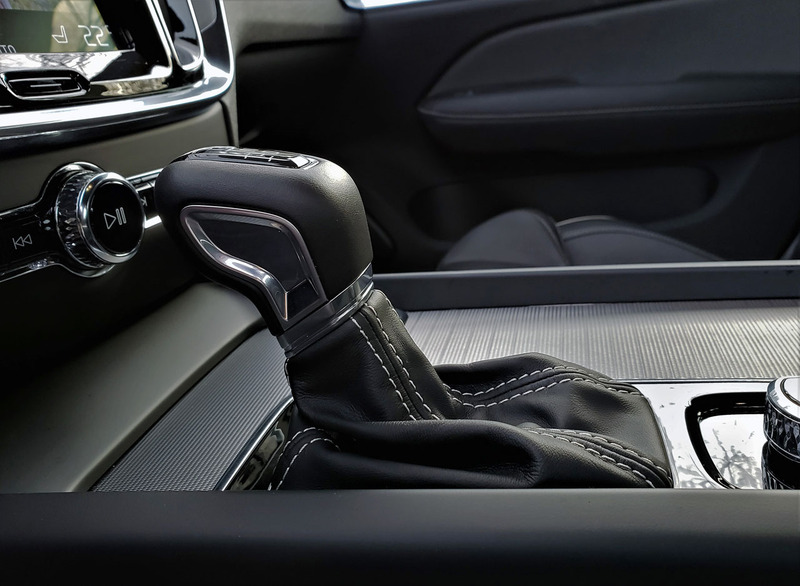 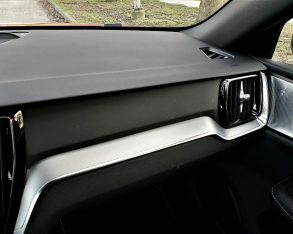 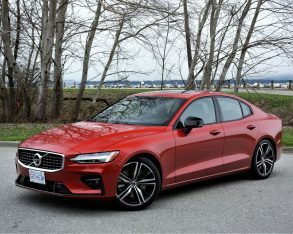 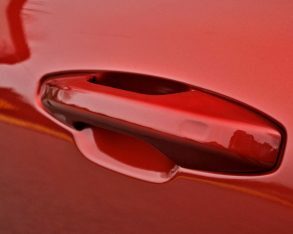 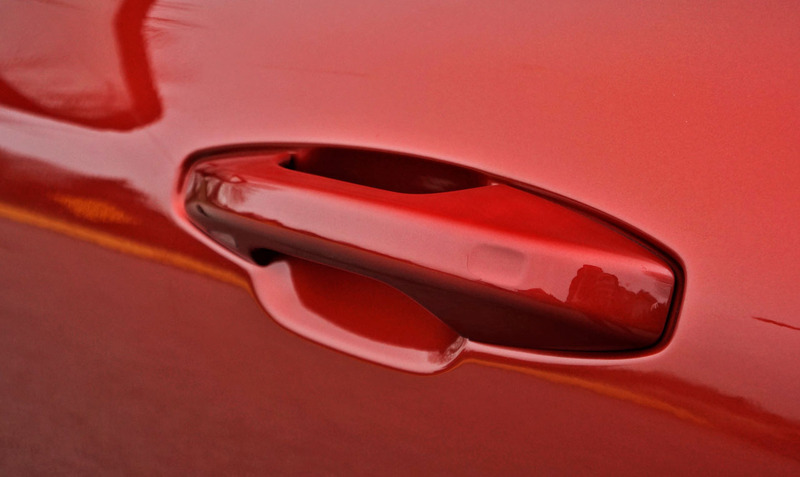 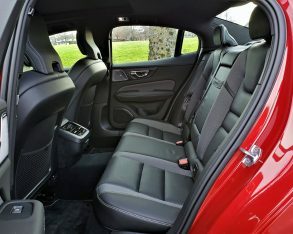 And incidentally, all 2019 Volvo S60 pricing was sourced from CarCostCanada, where you can find detailed pricing on trims, packages and standalone options for every other new vehicle sold in Canada too, plus otherwise hard to get rebate information and dealer invoice pricing that could save you thousands.